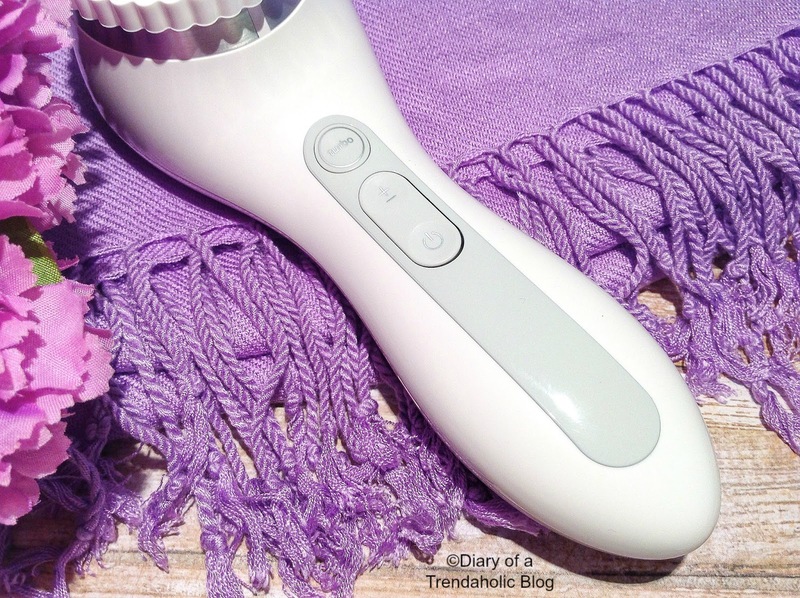 After reading my recent review on the Clarisonic Mia Fit for skincare while traveling, you have probably realized that I take cleansing seriously and that I love this brand! 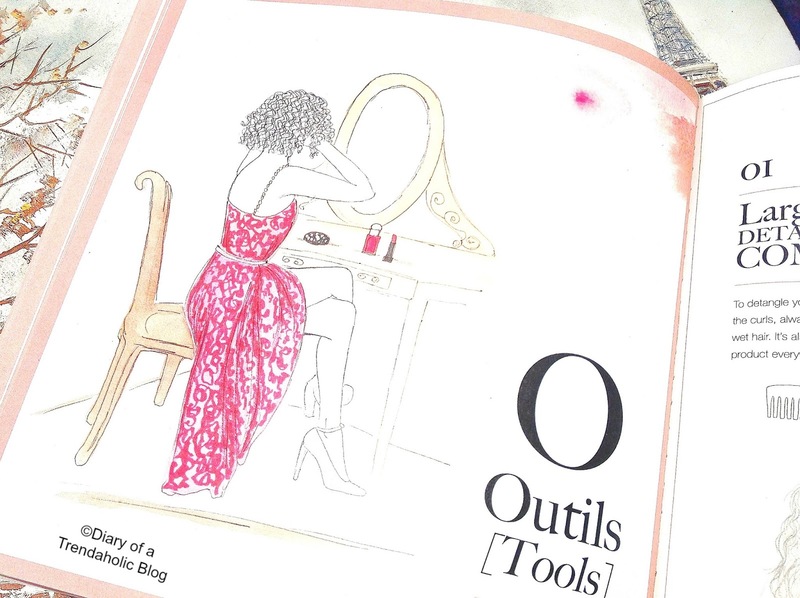 I do have more than one device since I strive to maintain my beauty routine even when my schedule gets crazy or I’m jet setting around the globe. The Mia Fit is small, light and compact so I take it with me on trips but the Smart Profile is larger, heavy duty and more powerful which is perfect for pampering my face and body at home during my weekly spa sessions. During the summer, my skin is most reactive due to high temperatures, UV and sensitivity to sunscreens and bug sprays that tend to cause irritation. This year I decided to do something about it and get the Smart Profile. It comes with a face brush which delivers the same superior cleansing I’m familiar with plus a body brush with a larger surface so I can achieve healthy, radiant skin from head to toe! Before I get into the review I’m going to address a question I was recently asked concerning the Clarisonic and the so called “purging phase” which according to some, causes breakouts. There are many opinions about this and I too experienced some irritation when I got my very first device. My advice is simple - don’t overdo it! It can be very tempting and exciting to break open the box and start cleansing twice per day (as some instructions suggest) but until you know how your skin will react, it is a good idea to start with moderate use and work your way up. It is also important to use the right brush head and although the sensitive brush works well for me, there is also a delicate (softer) option available. Initially I experienced a reaction because I was using it too much so I scaled back to about 2-3 times per week (not combined with any other exfoliation) and I’ve had absolutely no irritation or breakouts (triggered by the device) since. Once you determine how much deep cleansing your skin can tolerate and what brush you need, the rest is quite simple. Not everyone will experience the same reactions so it is important to understand your skin type and use the Clarisonic accordingly. In my opinion, it is one of the best cleansing brushes on the market once you get the hang of it! To begin I usually remove my makeup with a wipe and use a foaming cleanser to get rid of oil and residue which enhances my second lather and helps prevent foundation stains on the brush. I then like to add more cleanser directly on the wet brush, turn it on and move the device in circular motions while adjusting the pressure I use. For sensitive skin, try not to press or rub the brush too hard or vigorously, let it do most of the work for you. There are 2 modes of operation on this device: Smart Mode is the default setting which automatically adjusts power/speed and timing. 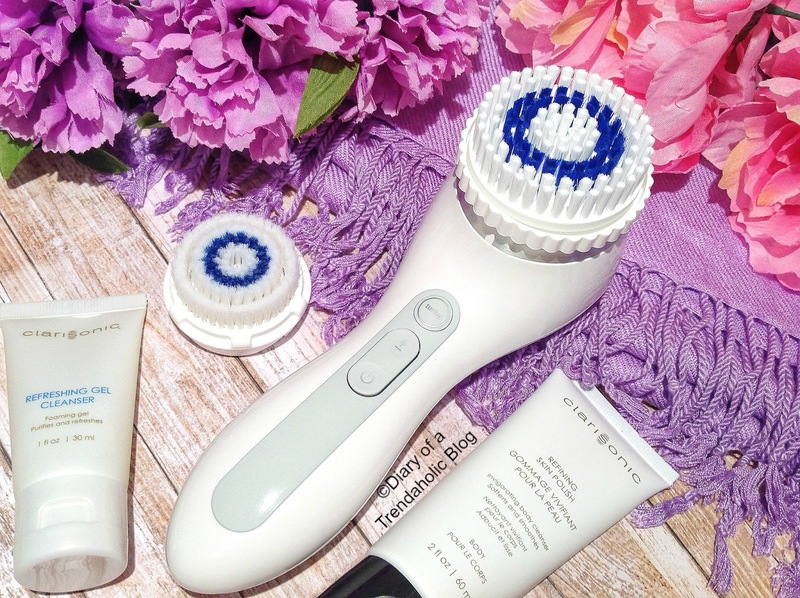 The Clarisonic will beep when it is time to move on to each area of the face (20 seconds on the forehead, 20 on the nose and chin, 10 seconds on one cheek and 10 on the other). The Manual Mode allows you to select speeds from 1-4 to control the intensity and you can switch between the two programs by simply holding the (+/-) button for 3 seconds. The intuitive interface is easy to use and being able to adjust the speed creates a unique, customized experience. You can cleanse lightly or exfoliate deeply when you need resurfacing results. The device uses 300 oscillating sonic vibrations per second to remove pore clogging makeup, excess oil, build-up and environmental pollutants that may be lodged deep within the skin’s layers. It cleans 6X better than using hands alone and may even help reduce the occurrence of blemishes. After use my skin is refreshed, smooth, supple, vibrant and polished for youthful results, smaller pores and less dryness. It also increases absorption to enhance the effectiveness of topical creams, serums and oils resulting in a clear, healthy complexion. 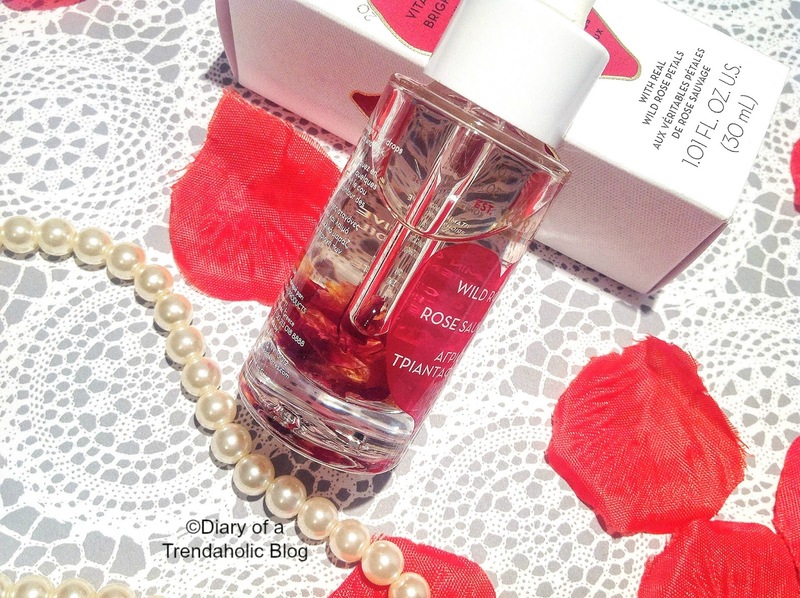 Since incorporating this device into my skincare routine I have noticed fewer breakouts and irritation, less heat rash in the summer and more radiance plus it seems to have greatly improved my skin’s texture and tone for flawless makeup application. 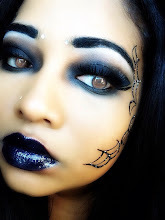 It also has exfoliating benefits without scratching the skin’s surface with beads or granules common in other products. 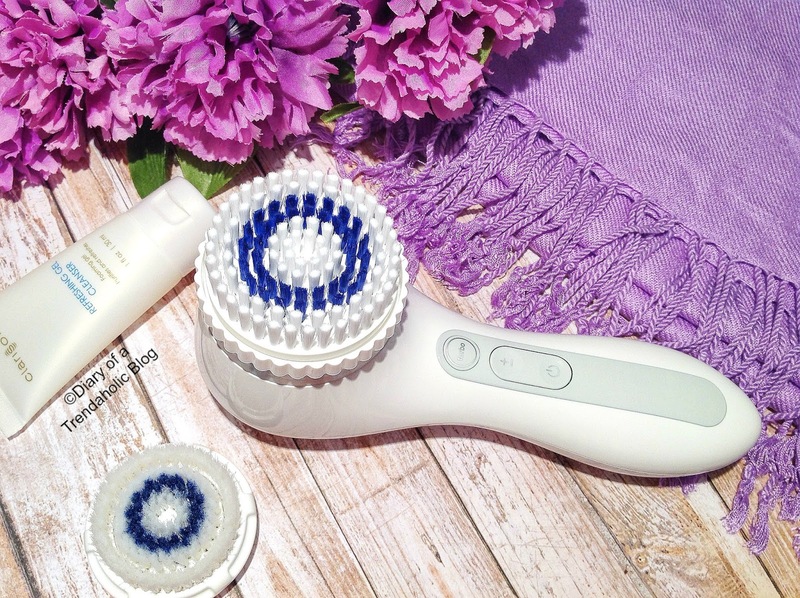 The Body Brush is programmed for exfoliation and massage and feels wonderful after a long day! Despite having a large selection of scrubs, I’ve never really made much time for body exfoliation aside from using a bath puff but this device makes the process enjoyable and much easier. After a day of fun in the sun I’m usually slathered in sunscreen, bug repellents and maybe even some chlorine from the pool or salt from the ocean. Usually the combination of all these things on freshly shaved or waxed limbs equals itchy, irritated skin and sometimes redness. Thankfully the body brush alleviates and foams away product build-up while providing a relaxing massage that turns shower time into a blissful retreat. 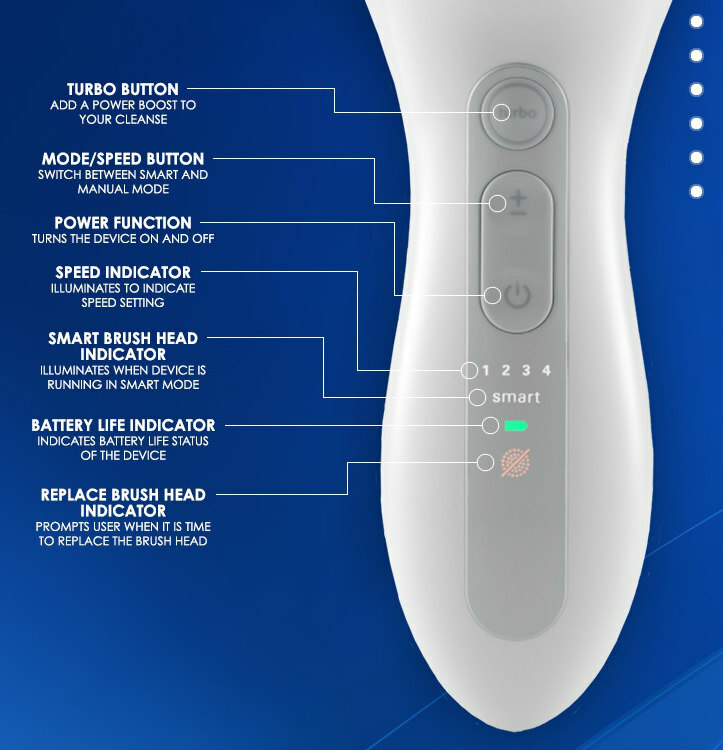 The Body Brush will cycle through 3 stages (30 seconds of pulsating foaming massage, 2 minutes for full body cleanse and 30 seconds for a finishing massage). You can also switch between smart mode and manual with 3 speed settings. 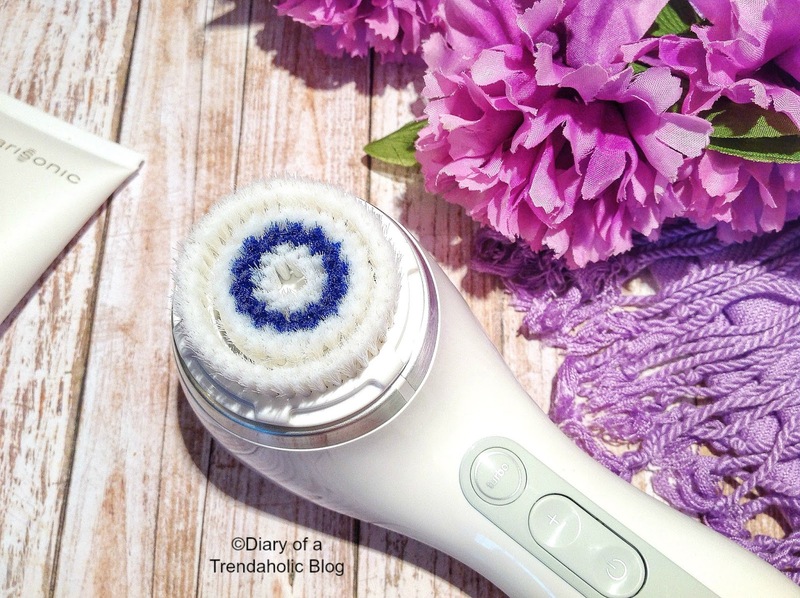 The device is great for smoothing out rough areas like elbows and knees and after use my skin feels silky, soft and ready for summer! I also suspect that the sonic vibrations combined with the massaging motions may even help reduce cellulite if you have problem areas. After a nice warm shower, layer on some moisturizing body lotion or rich butter for a beautiful sheen. 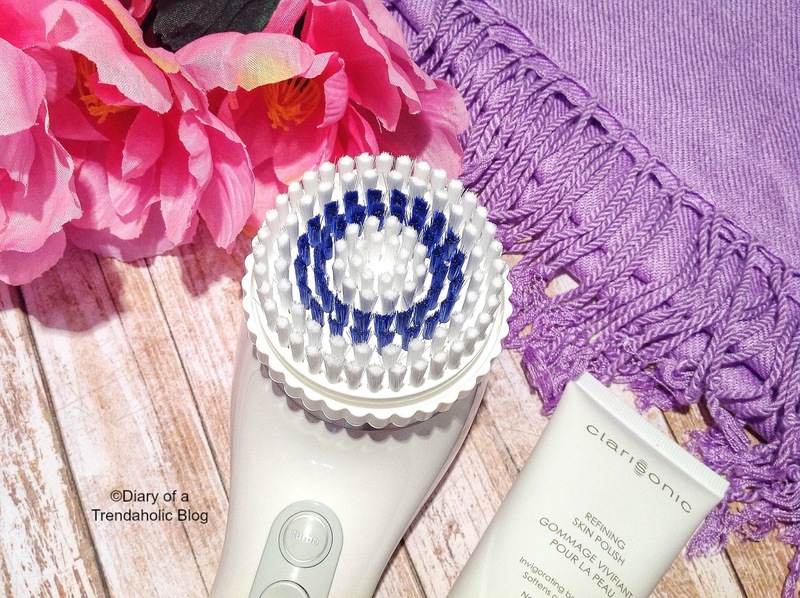 Unlike other Clarisonic devices available, this one has a turbo button that temporarily increases the cleansing power at any time during your program. I love this setting as provides a blast of vibrations on areas that need a little extra attention. The Smart Profile also notifies you when it is time to change the brush (usually based on frequency of use or 3 months of use). Personally, I find that replacement is also relative to how well you care for the brush to prevent the bristles from becoming fatigued. The brushes usually retail for $30.00 each or you can get a 2 pack for $49.00. The rechargeable batteries in all Clarisonic devices take a long time to charge, it is recommended that you charge the Smart Profile for a full 24 hours and since the device is sealed to make it waterproof, the battery cannot be removed or replaced. Over time it will eventually lose the ability to hold charge and once this happens it is not repairable. The good news is that this particular device has a longer battery life. 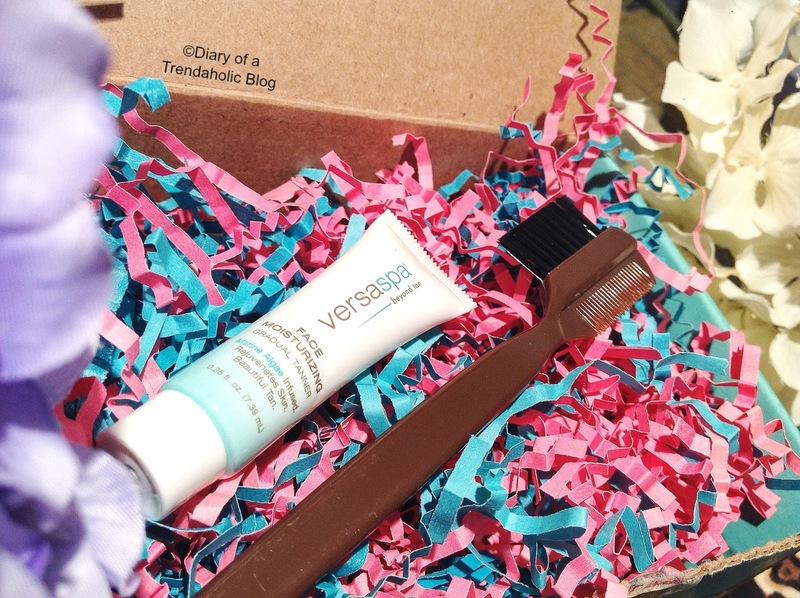 Also included in the box is the Refreshing Gel Cleanser for the face. I only recently began using cleansers from this brand and I absolutely love them! They lather into a rich creamy emulsion that efficiently removes dirt, makeup and oil without leaving my face dry and stiff. The Skin Polish is a refreshing body cleanser that is also very effective. The Clarisonic Smart Profile retails for $299.00 Canadian and you can find it at department stores, Sephora and online by clicking HERE. 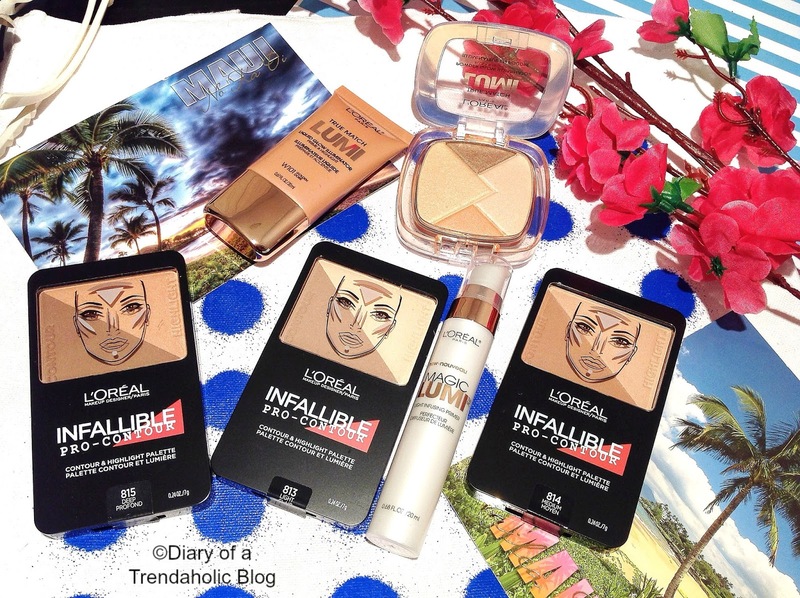 I’ve been testing a lot of high-end bronzers and highlights recently but today I’ve decided to feature a few drugstore options from L’Oréal that are accessible and more affordable for those looking to embrace the trend on a budget. 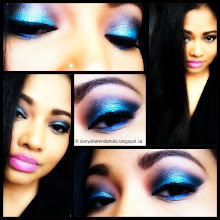 From glistening powders to sparkling illuminators and even liquid shimmer for the body, there is something for everyone! 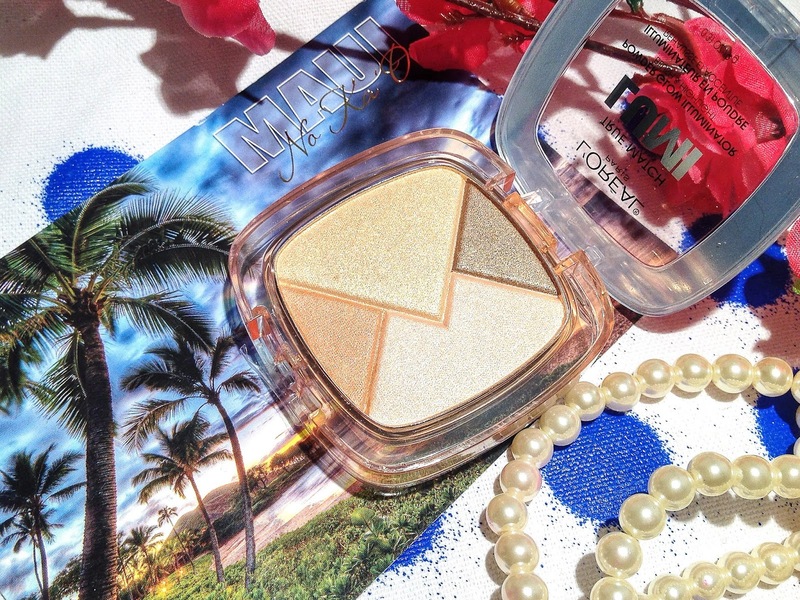 First up is the True Match LUMI Powder Glow Illuminator (Bush & Highlight) in the shade Golden. This versatile compact is equipped with 4 shimmery hues (green, champagne, peach and gold) to compliment, brighten and boost the complexion. The powder lifts up to reveal a mirror and brush hidden underneath and by simply layering, you can enhance the pigments from sheer to stunning! The yellow gold consists of larger glitter fragments and a translucent, sparse finish whereas the other shades are finely milled, creamier and smooth with subtle shimmer accents that blend quite well. 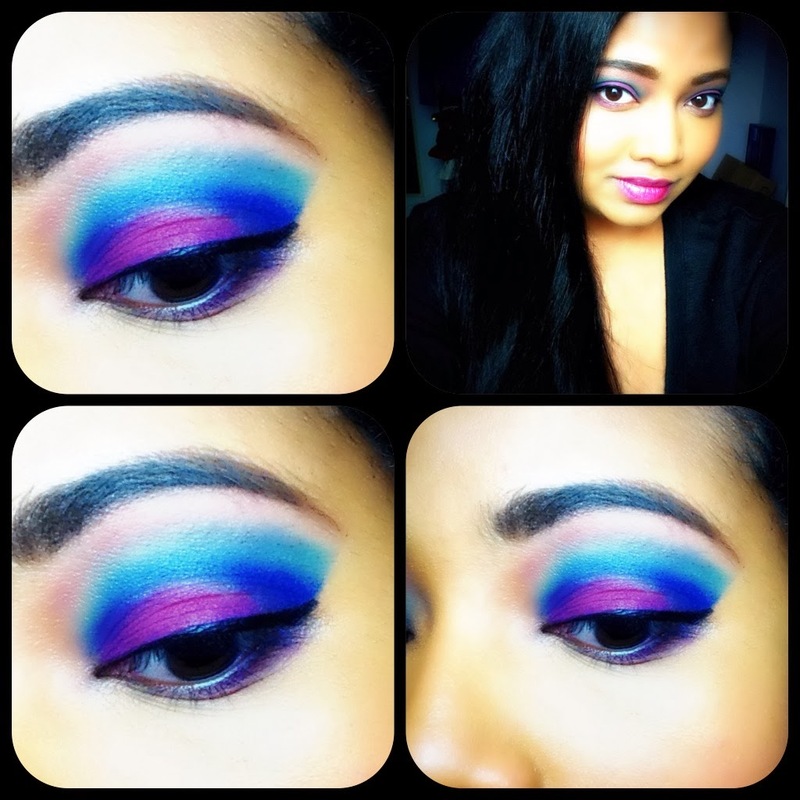 My favorite hue is the peach triangle at the bottom which provides a gorgeous wash of highlight but the palette gives you the option to mix, match and get a little creative. It retails for $14.96. 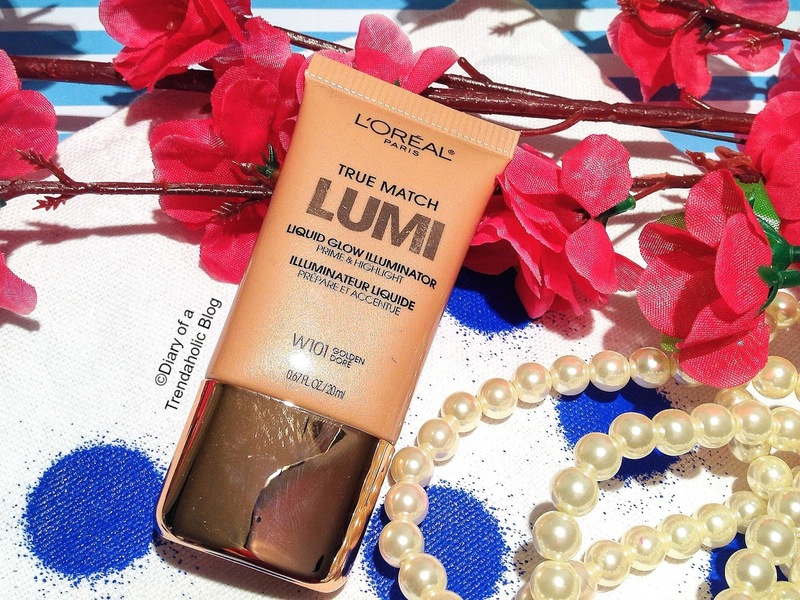 Also from the True Match LUMI collection is the Liquid Glow Illuminator Prime and Highlight. This all-over highlighter is one of my favorites from the brand and reminds me of a less intense version of Melanie Mill's Gleam liquid pigments used for television production. I have the shade Golden which creates a gorgeous iridescent glow and once dry it stays put all day and beautifully reflects light. You can use this highlighter under, over or mixed into foundation but I prefer to apply it with my fingertips and blend onto my cheekbones and anywhere else I need a little luster. The great thing about this creamy formula is that you can also use it on the body (arms, shoulders, legs, décolletage, back etc) to create a brilliant sunkissed effect that makes skin look radiant and golden all summer long! 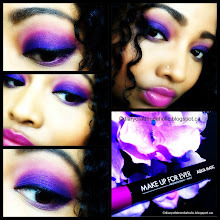 You can pick this highlight up for $14.96 and it is also available in the shades Rose and Ice. 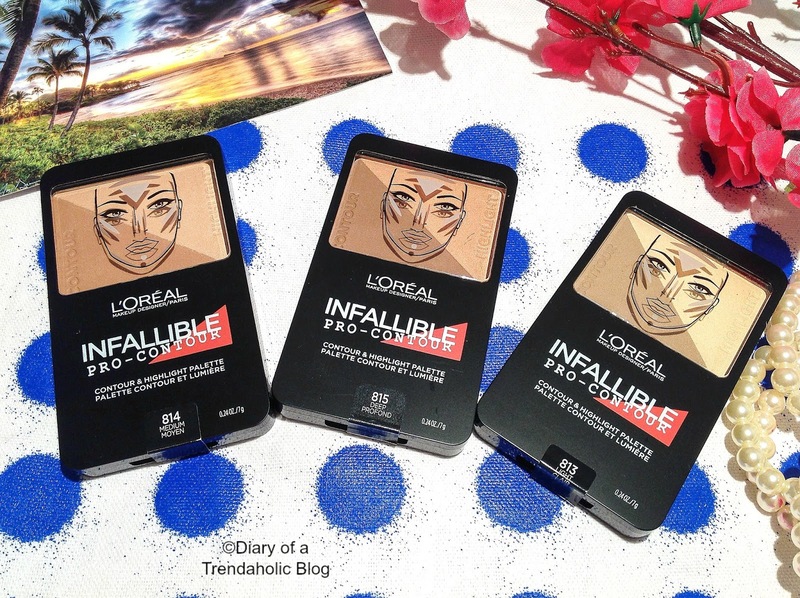 Multipurpose duos are very popular right now so L’Oréal has released the Infallible Pro-Contour & Highlight Palette in 3 shades: Light, Medium and Deep. 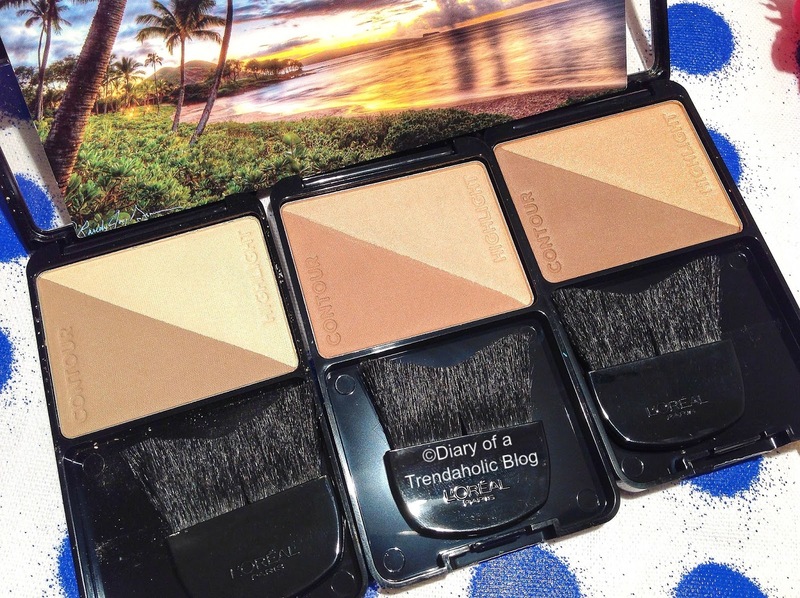 I like that the packaging is small and thin which makes them great for travel but the contour hues are very subtle and in my opinion a bit too ashy for creating much definition. By heavily layering the deepest hue I was able to create decent contrast but I prefer more pigment intensity for sculpting and the brush is flimsy, thin and oddly shaped so I don't really use it. If you’re aiming for a softer effect then you may like these but aside from mild definition, my results weren’t very dramatic. 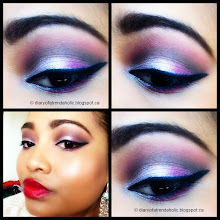 The highlight hues on the other hand are great! The texture is smooth and silky with enough pretty pigment to create a luminous candlelight glow. The palettes retail for $16.95 ea. 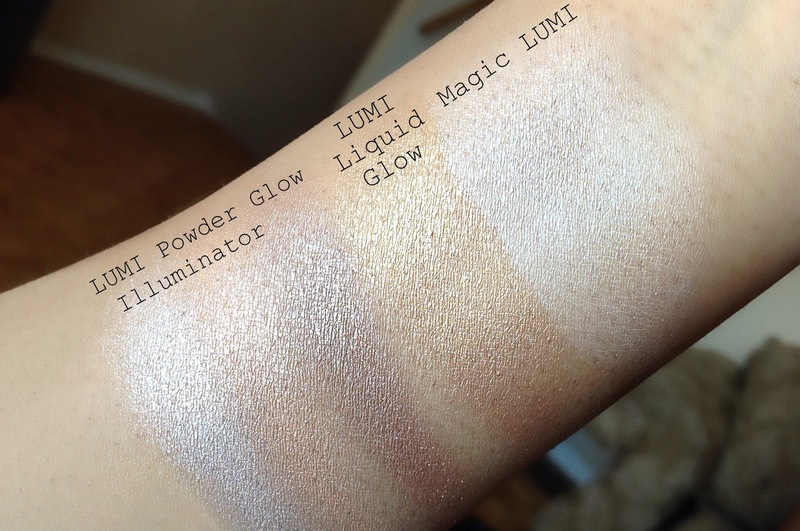 The Magic LUMI Light Infusing Primer has been one of my faves for years because unlike the gold or tinted highlights I usually wear, this one provides a gorgeous frosty layer suitable for all skin tones and seasons. You can wear it under makeup or mixed into foundation for a soft light illusion that brightens the entire face or blend onto specific areas to highlight and enhance. The creamy, lightweight texture blends and layers effortlessly with a finger or brush to creates a natural sheen that makes skin appear fresh, revived and healthy! If you don’t have this in your makeup bag yet I highly recommend it, you can pick it up for $14.95 and a little goes a long way! Curly girls know the struggle of trying to tame hair that seems to have a mind of its own and finding the right products, styles and routine to work with your unique curl pattern. Now that wild curls and soft waves of all kind are becoming trendy, more brands are catering to our needs. 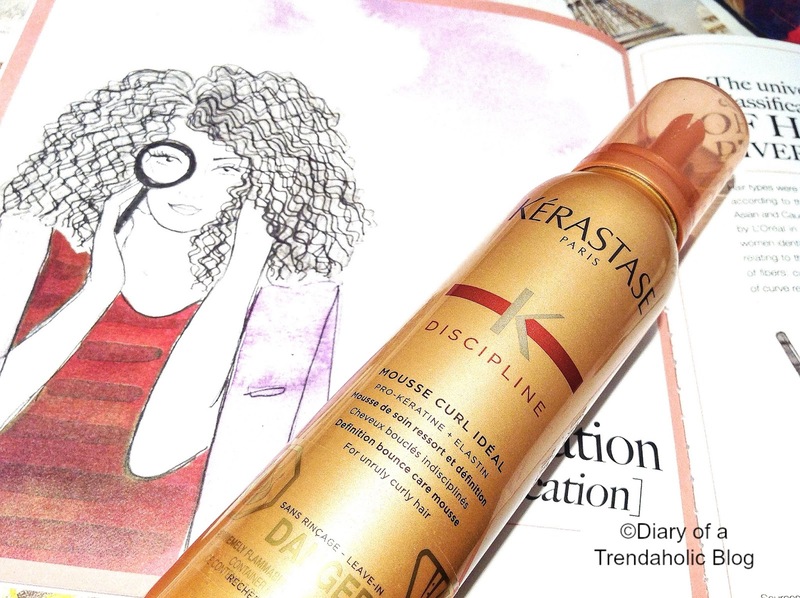 Kérastase recently launched the fabulous Curl Idéal Collection but before I get into the review, I'm going to take a walk down memory lane and reflect on how much I've learned about caring for curls. When I was a kid, my hair was relatively as long as it is today (tailbone length), thick and a lot of work! My mom spent hours detangling, shampooing, conditioning and drying it and when I was old enough to take over, the task was overwhelming. 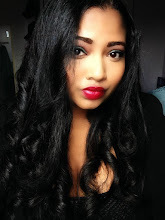 For a long time I hated my curls...yes I said it, but I just didn’t understand how to deal with them and often found myself longing for straight, manageable hair. I spent much of my teenage life blow drying and flat ironing my curls into submission (almost everyday) without considering the consequences of heat damage. The ironic thing was, everyone seemed to love my curls but me! Friends and family with straight hair wished to have what I did and encouraged me to embrace my spirals frizz and all. It took a long time for me to love and accept my curls but eventually I did and now I enjoy how bold and unique my hair is (most of the time). Although I've never used harsh dyes or chemicals, years of heat damage had taken its toll making some areas permanently straight and unable to revert back to twisty ringlets. It took 2 years of intense deep treatments, a lot of learning, and no heat styling or harsh ingredients to grow out the damage and repair the breakage but I finally have healthy, silky hair that is strong and long! Today I don’t deprive myself of the sleek, straight styles I love, I still use my blow dryer and flat iron just not as much and not high enough to burn or damage. During the winter when the humidity dissipates, I wear my hair straight but when summer hits and heat, sweat and moisture causes my hair to curl naturally, I don’t bother with the flat iron. 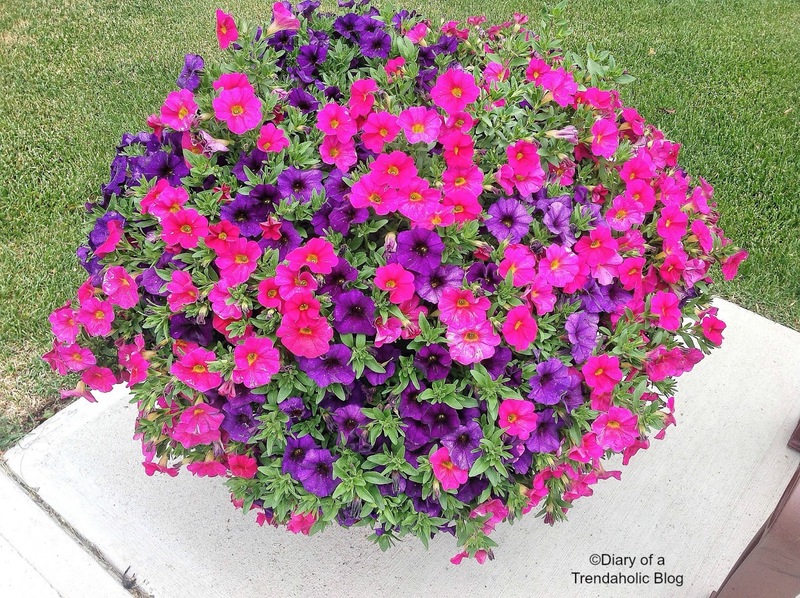 I use this season to recuperate, revive and restore my mane and each year I notice impressive growth! 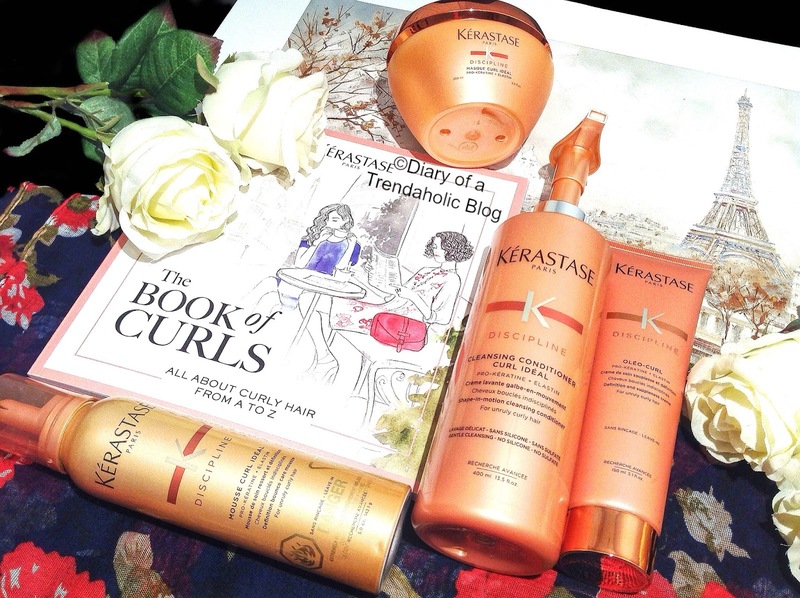 The Kérastase Curl Idéal Collection is formulated for managing all types of curls while strengthening, smoothing, taming and moisturizing. The first step is cleansing and I am happy to report that the brand has adopted the popular “cleansing conditioner” method which is gentle and free of harsh detergents. Shampoos that contain sulfates can strip curly hair of natural oil which is vital for maintaining moisture and health. This cleanser uses mild ingredients to remove build-up without causing curls to become dry and brittle. The pump bottle makes it easy to dispense in the shower and the texture is creamy with a light lather that effectively cleans from root to tip without leaving hair squeaky clean, tangled or craving immediate moisture. It also smells fantastic which is quite common with this brand. The cleansing conditioner retails for $69.00. The Masque Curl Idéal is the first shape-in motion masque formulated to control over-voluminous, tight, thick curls that tend to be unruly. I recommend revitalizing deep treatments to pretty much anyone who will listen because they help damaged strands bounce back much faster! I use a masque once per week but you should adjust your routine depending on your hair type and needs. The texture of the masque is thick, rich and lush so it coats each strand to deeply nourish, moisturize and fortify with a blend of keratin, proteins and natural oils. 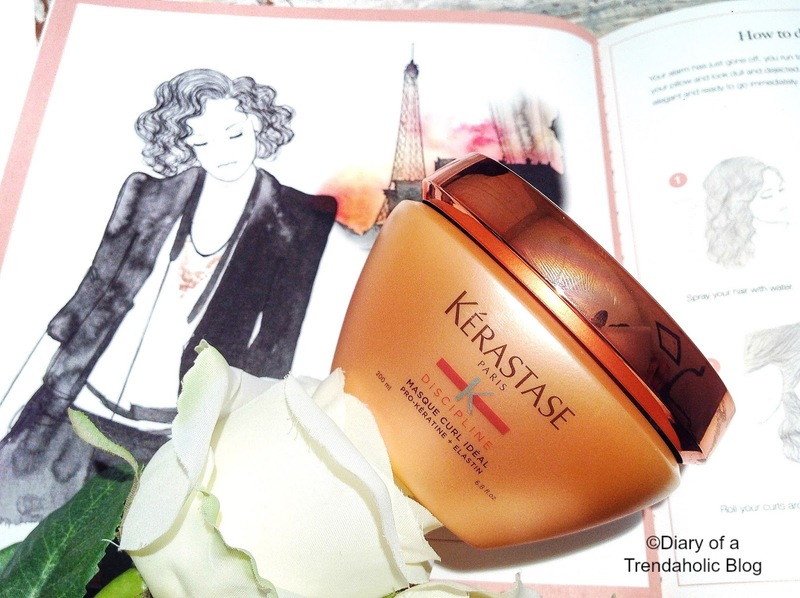 What I love most is that it tackles one of my biggest concerns - voluminous, poofy roots and new growth that can be hard to flatten, control and style. This fabulous blend helps reduce frizz where you need it most while maintaining curl formation and preventing dryness and breakage. The directions instruct you to leave it on for just 5 minutes but my hair always craves more hydration and the longer I condition, the softer it feels. If you have thin or oily hair, you may want to stick to the recommended treatment time to avoid limpness. I usually part my hair and apply the masque while using my Tangle Teezer Aqua Splash Brush (which I’m obsessed with) to detangle, distribute and enhance the treatment, plus it helps form perfect spirals! I then bobby pin my hair at the top of my head, cover with a disposable plastic cap and wrap in a microfiber towel for an hour or two while I do a facial, relax, work or watch TV. When I remove the towel I pass the heat from my blow dryer over the plastic cap for about 3 minutes to promote absorption and then I rinse well. After the treatment my hair is incredibly soft, silky, smooth, bouncy and shiny not to mention the amazing scent that turns head for days! The masque retails for $66.00. After cleansing and treating it’s time for styling! After my final rinse in the shower and one last run through with my Aqua Brush for curl formation I don’t brush, comb or manipulate my curls again as this causes them to separate and become frizzy. Brushing dry curls, especially when they are tightly formed can cause a poofy mess! 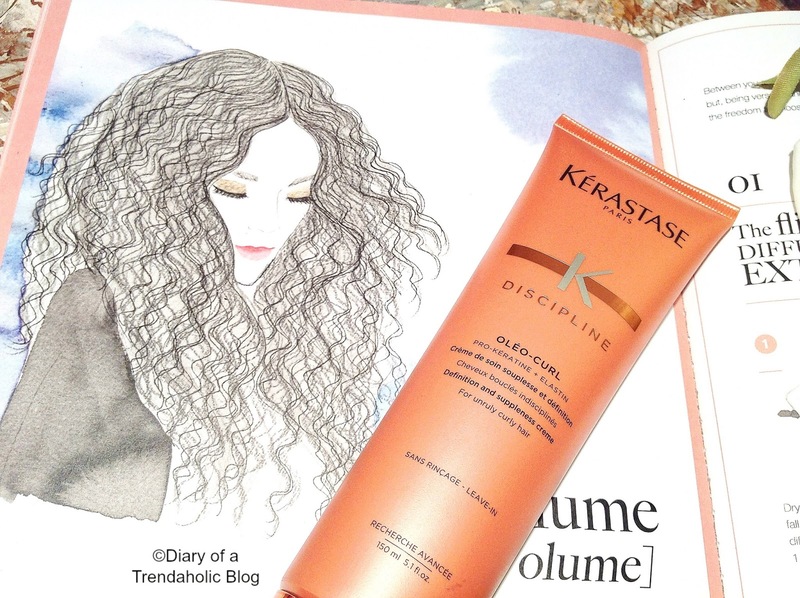 While my hair is still quite damp I apply the Oléo-Curl Leave-In Crème ($56.00) to enhance, control frizz and moisturize. I also use the cream to finger curl sections into tighter ringlets so they retain bounce and shape throughout the day. If I need more hold (which I always do) I use the Mousse Curl Idéal ($46.00) for extra definition, tone, smoothness and texture without the stiffness or rigidity common among many mousse formulas. 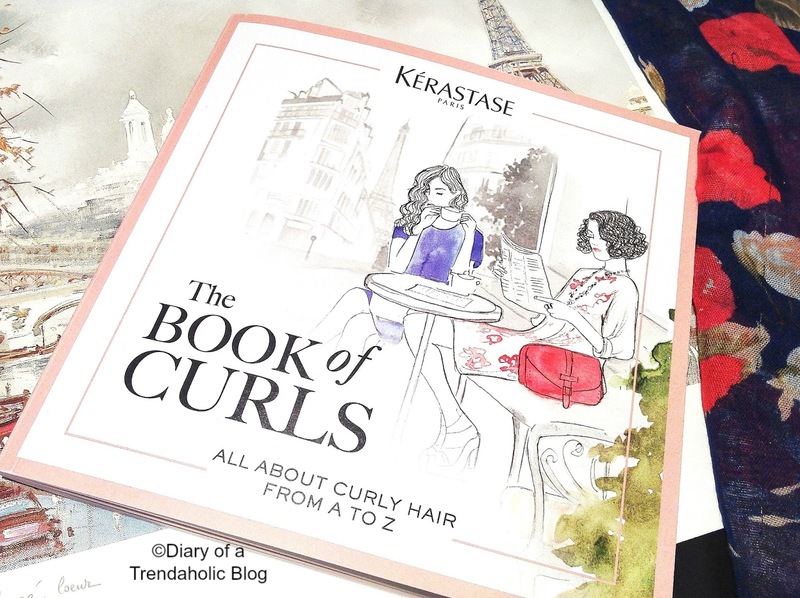 The Book of Curls featured in this post is a fabulous guide! 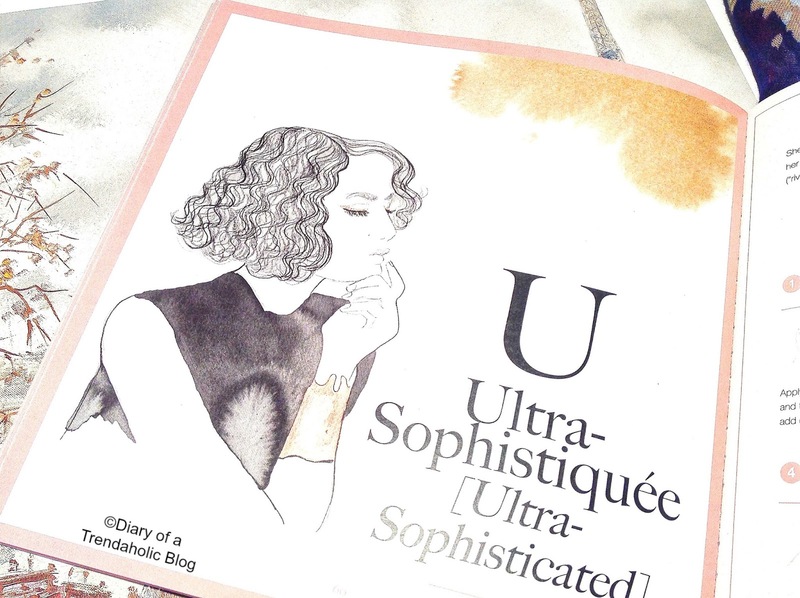 It covers everything from proper care, determining your curl type, protective measures for sleeping, washing, styling, tips, tricks and inspirational curly haired women! 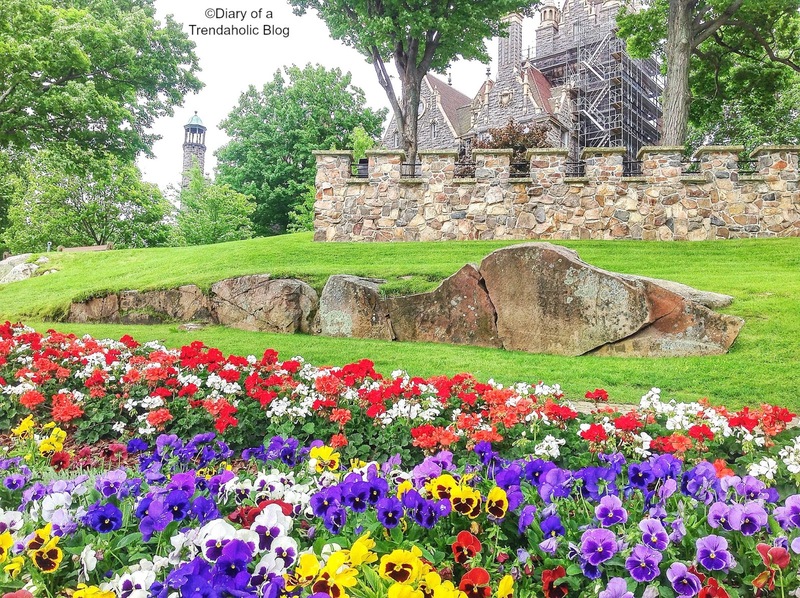 You can download your free copy by clicking HERE. 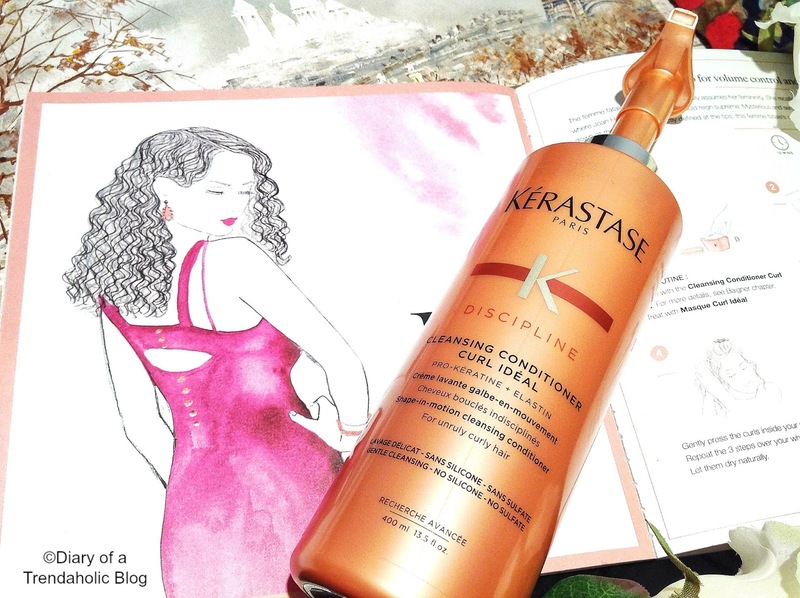 For more information on where to purchase Kérastase and salon listings you can visit the website by clicking HERE. 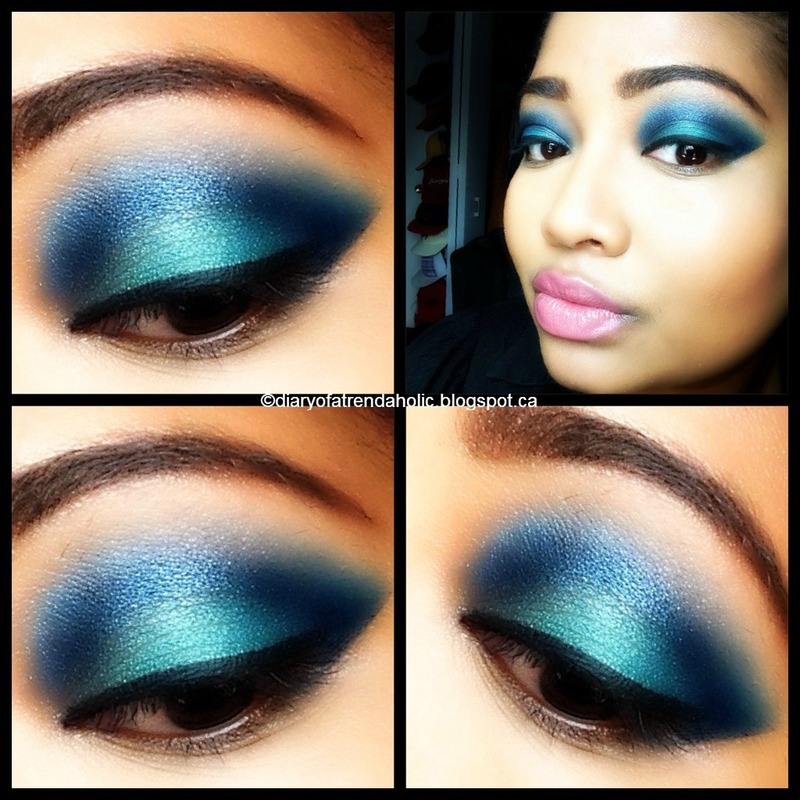 It is difficult to achieve flawless makeup application if you don’t have an even canvass to start with. Blemishes, discoloration, environmental aggressors, aging, hormones and many other factors can taint the complexion and cause skin to appear tired and dull. Before buffing on heavy foundations, concealers and correctors, why not get to the root of the problem by treating the epidermis with natural active ingredients. 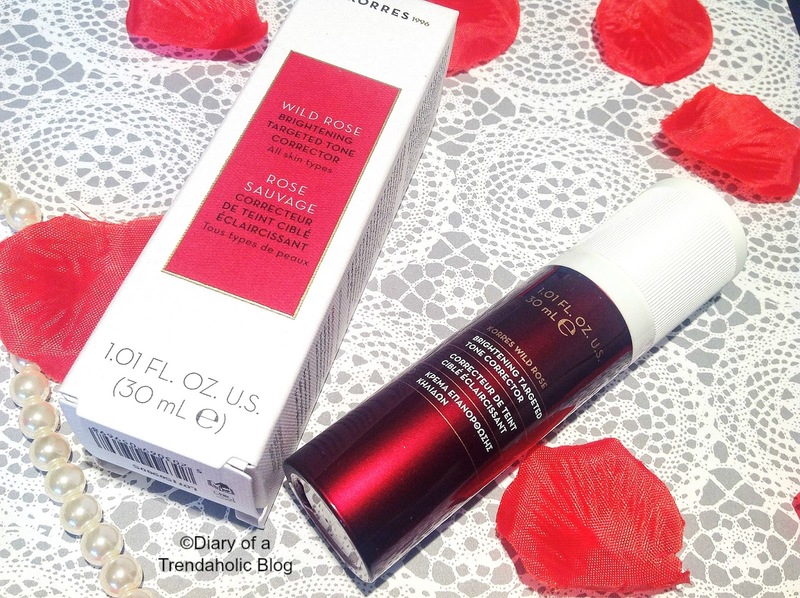 Recently I’ve been trying the Korres Wild Rose Brightening Collection and I love the results! The Tone Corrector is an intensive facial treatment that helps prevent and diminish all types of discoloration for an even, balanced complexion. The annoying acne marks left by pimples you popped, or hyperpigmentation that seemed impossible to get rid of will slowly begin to lighten and blend into the color of your natural skin tone without altering it. The serum feels more like a creamy moisturizer, infused with nourishing emollients like coconut, apricot and sunflower oils to refresh and revive. Aside from smoothing the texture of my skin, it provides layers of lush, rejuvenating hydration that lasts all day and makes my face incredibly supple, soft, toned and resilient! I enjoy it so much that I’ve been using it every morning and when applied heavier it also works as a repairing overnight mask. 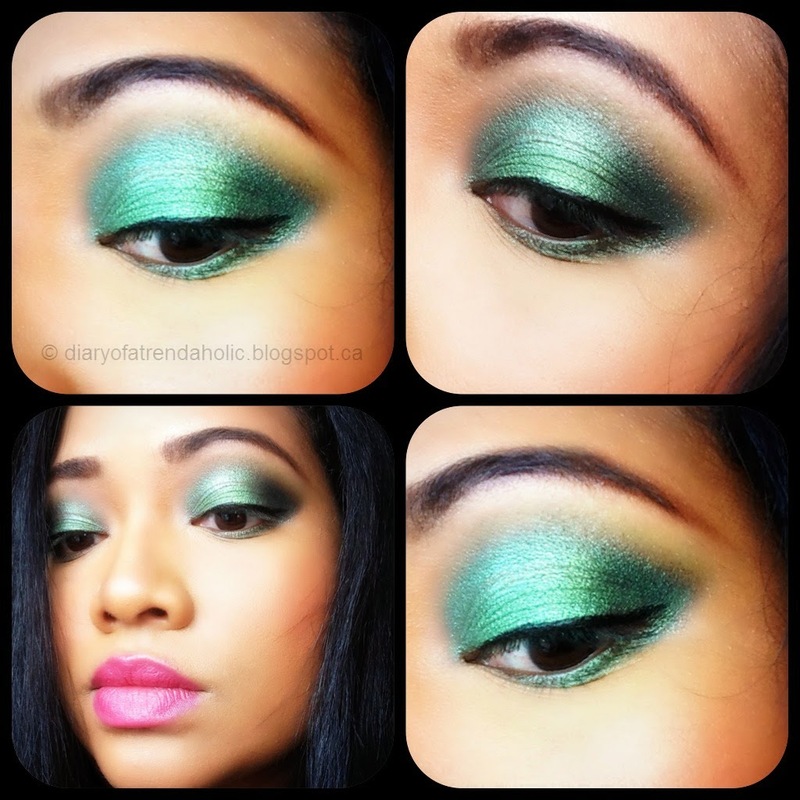 Another great thing about this formula is its seasonal versatility. The light texture is comfortable on hot, humid days without causing excess oil production or greasiness but the invigorating layers of velvety moisture is perfect for cold, dry climates and helps prevent flaking and peeling. 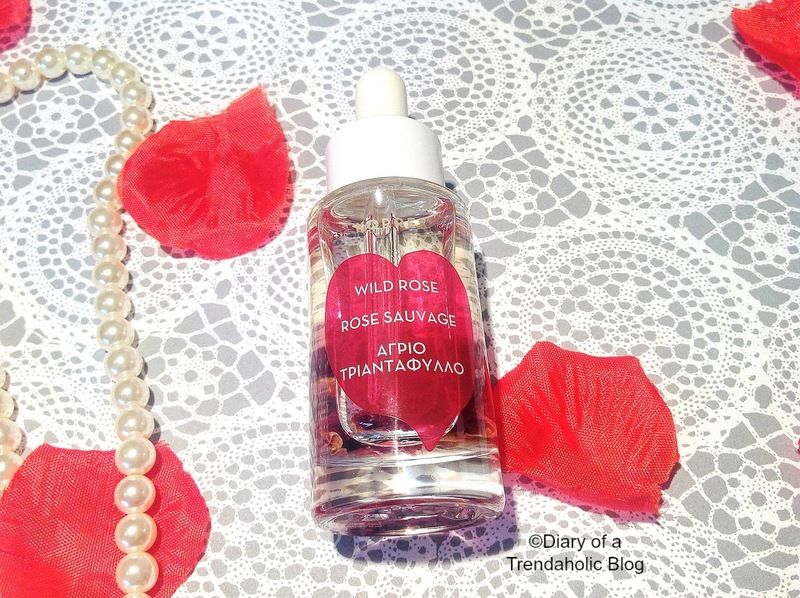 The active skin brightening ingredients include: Cold Pressed Wild Rose Oil - (a powerful antioxidant that evens skin tone, repairs fine lines and heals), Sea Fern Extract (to decrease pigmentation) plus Vitamin C and Sand Lily Extract to significantly reduce dark spots. 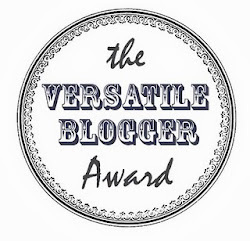 The serum contains no parabens, sulfates or phthalates and is safe for vegans. You can pick it up for $43.00. If you love face oils as much as I do the Vitamin C Active Brightening Oil is a fabulous night treatment that won't clog pores or feel slick and greasy. 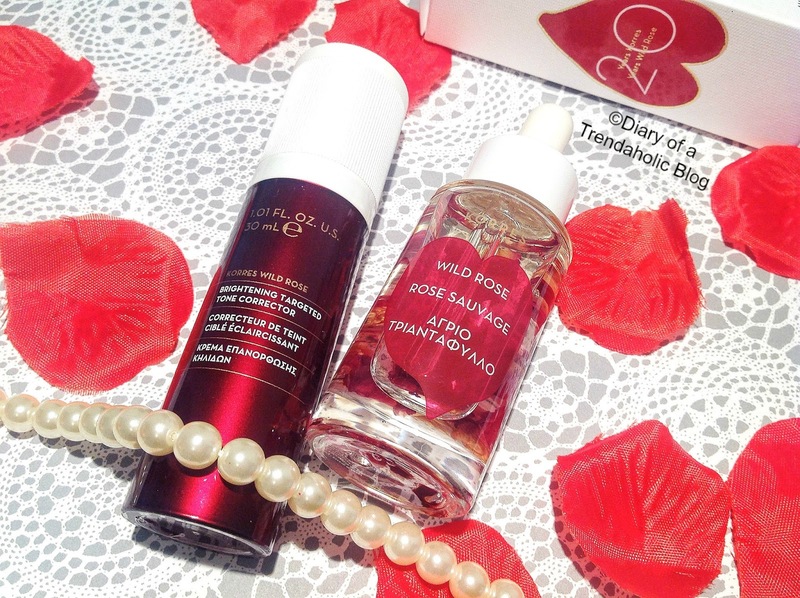 As seen in the photo below, the oil is infused with actual wild rose petals (that float around in the bottle) and a luxurious blend of omega acids, vitamin A and powerful antioxidants to firm, repair and diminish fine lines and wrinkles. The silky anti-inflammatory oil delivers a dewy fresh glow so you awake to healthy, radiant skin and it also protects against free radicals and UV damage. Before bed, I use a few drops on top of the serum for extra moisture and together they soak in and rejuvenate my complexion for the luminosity I crave! It also makes a fabulous treatment for rough cuticles and dry nail beds. The oil retails for $54.00. 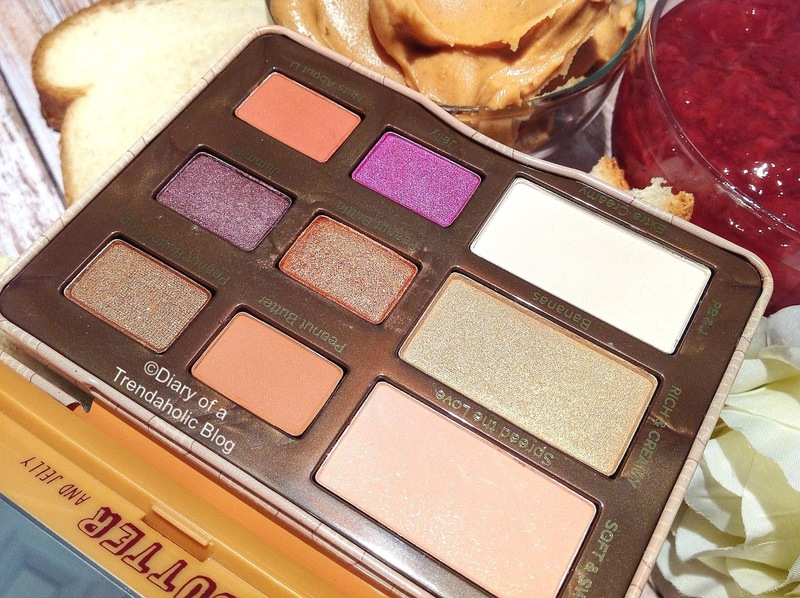 If there was a title awarded to the most coveted palettes in the beauty industry, Too Faced would be prom queen! 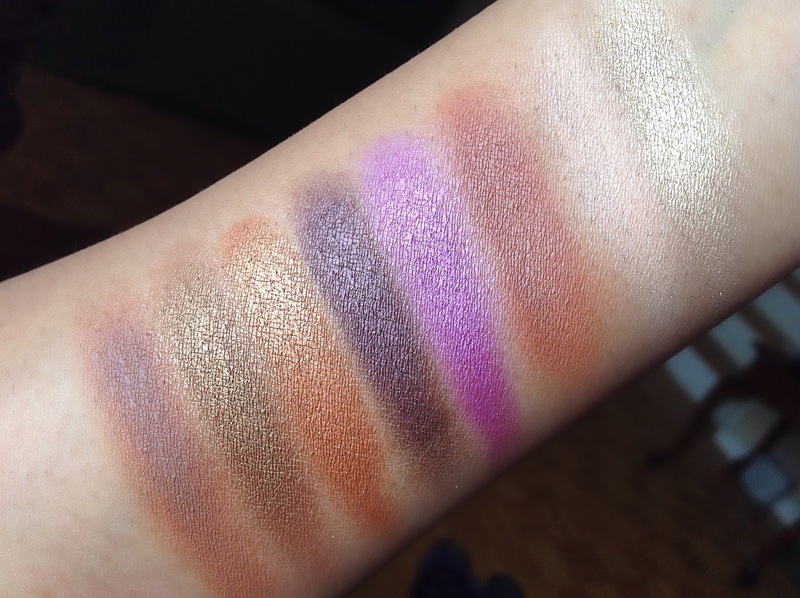 The brand has been knocking it out of the park with hit after glorious hit and their most desirable peach and chocolaty shadows are hard to come by as beauty junkies go crazy for cocoa. 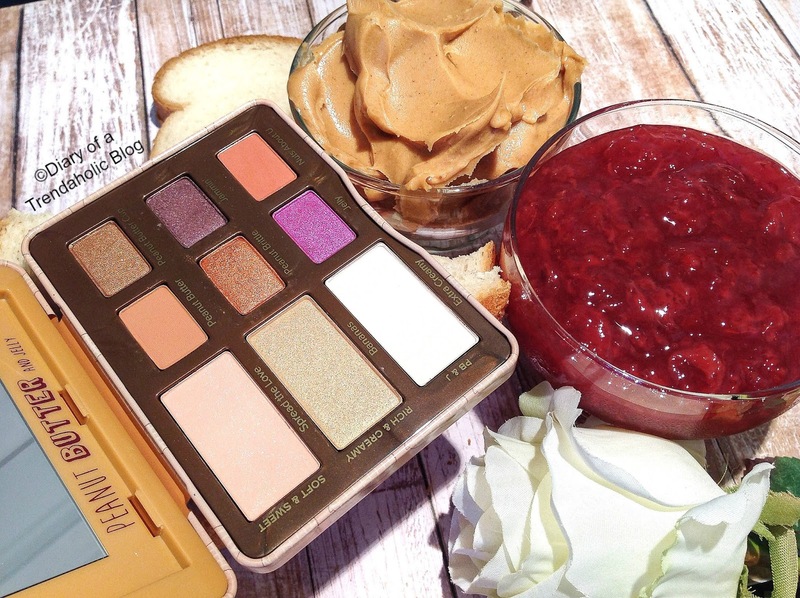 If you aren’t sure what all the fuss is about you obviously haven’t swatched one of their luxurious pigments so let me entice you further with the delicious Peanut Butter & Jelly Palette. 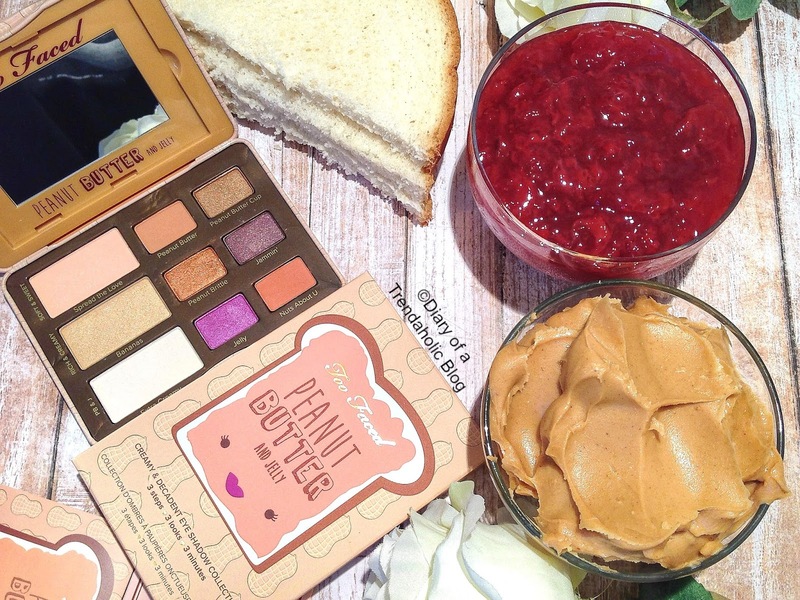 Too Faced has a reputation for turning our favorite comfort foods into makeup must-haves and this beauty is no exception! 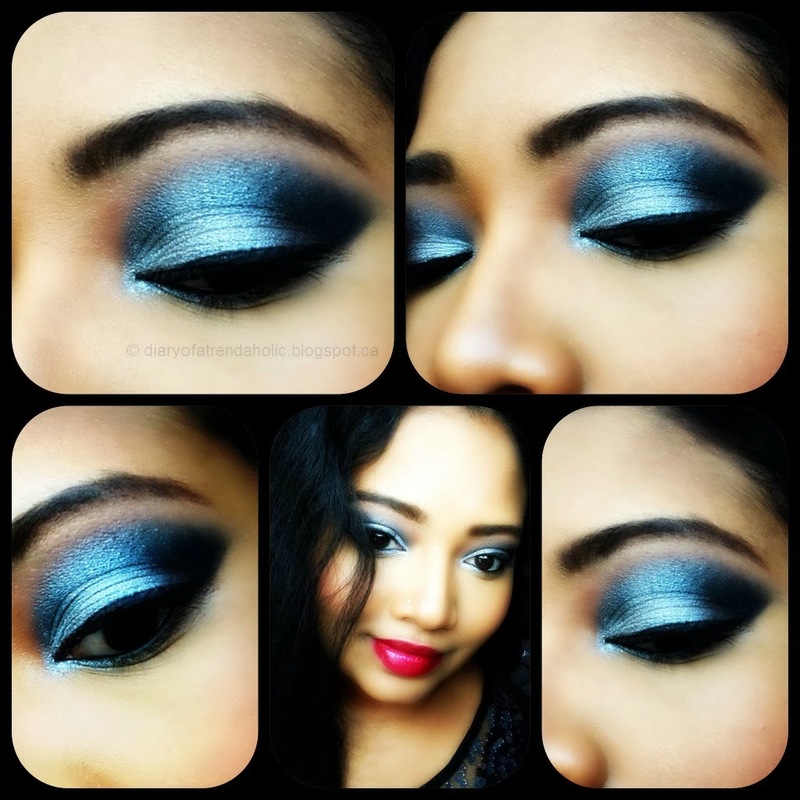 The rich, irresistible shadows were inspired by the Semi-Sweet Palette which gained monumental fame on social media and quickly became a cult fave. Each horizontal row is designed to create a different theme. The top row creates a soft effect and includes: Spread the Love (soft peach with gold sparkle), Peanut Butter (matte orangey brown) and Peanut Butter Cup (metallic bronze). The middle row is rich and creamy - Bananas (champagne shimmer), Peanut Brittle (coppery gold/ burnt orange) and Jammin’ (purple chocolate with gold shimmer). The last row is dedicated to PB & J - Extra Creamy (matte cream), Jelly (bright orchid with a magenta undertone) and Nuts About U (matte peanut buttery brown with red tones). The texture of the shadows is rich, velvety and super decadent so they apply and blend effortlessly and the pigmentation is amazing! 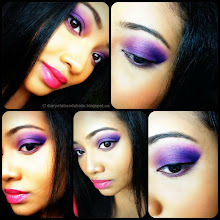 You can go soft, bright or bold and the colors can be enhanced to full coverage without creasing. 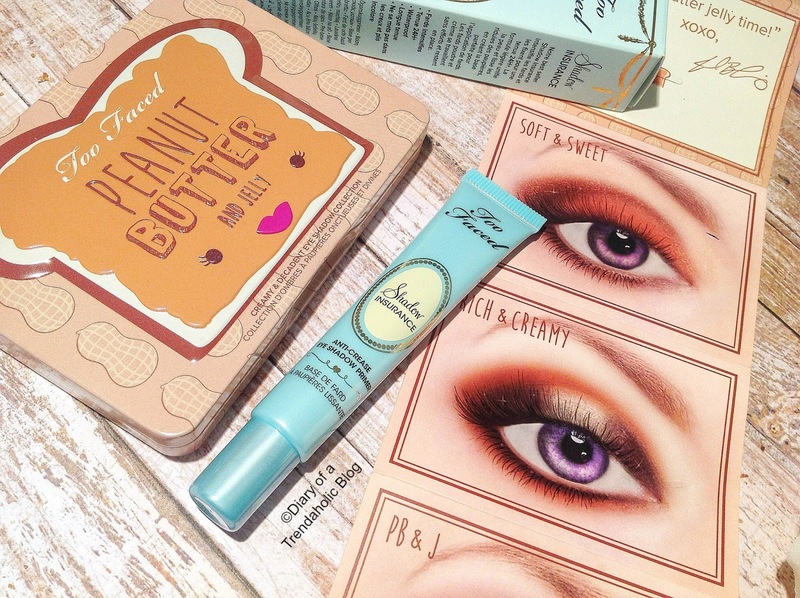 With many of the shades I don’t even need a base but the Too Faced (world famous) Shadow Insurance Primer ($27.00) creates a smooth, silky surface for flawless, professional results. 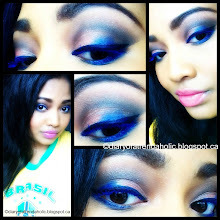 The 24 hour, waterproof formula intensifies colors and prolongs wear so pigments appear pure, saturated and gorgeous! 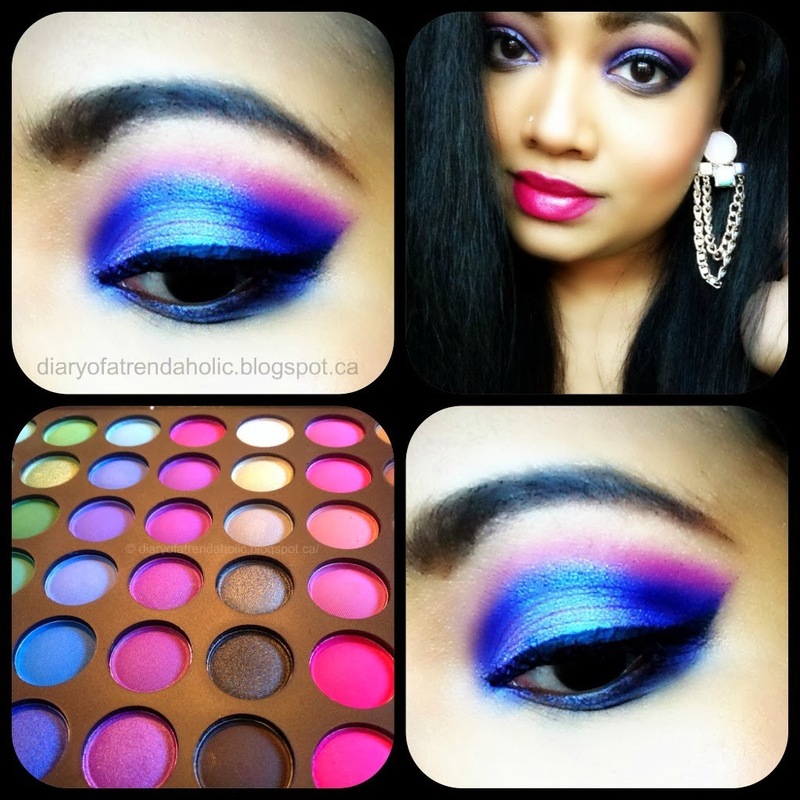 I love the shade selection in this palette! 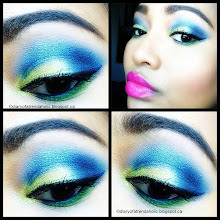 It provides the versatility to create a variety of trendy looks and the vibrant Jelly hue was enough to lure me in! The shade Bananas also doubles as a face highlight, simply blend onto the cheekbones and you can create a light glow or strobe away for a glamorous lustre. 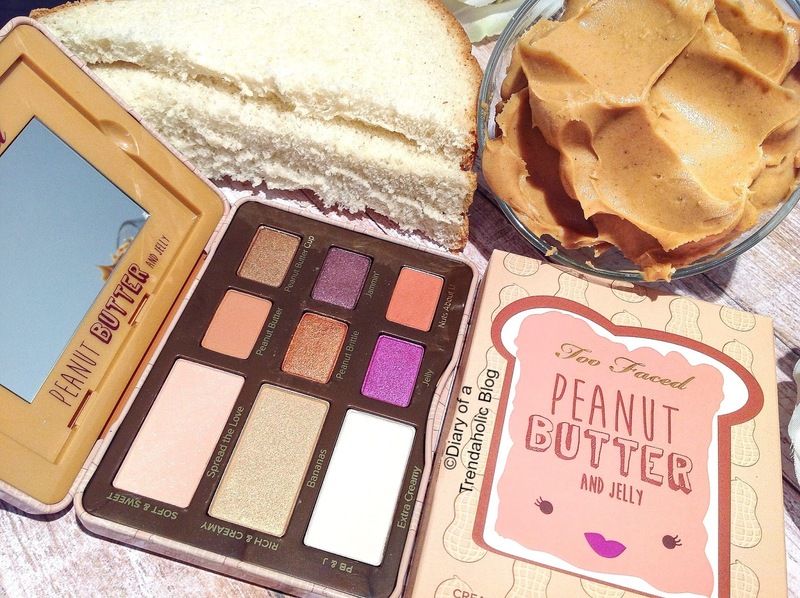 The only thing I would add is a deeper brown for the crease but the Peanut Butter shade also works like a charm and there is a great balance of shimmer and matte. 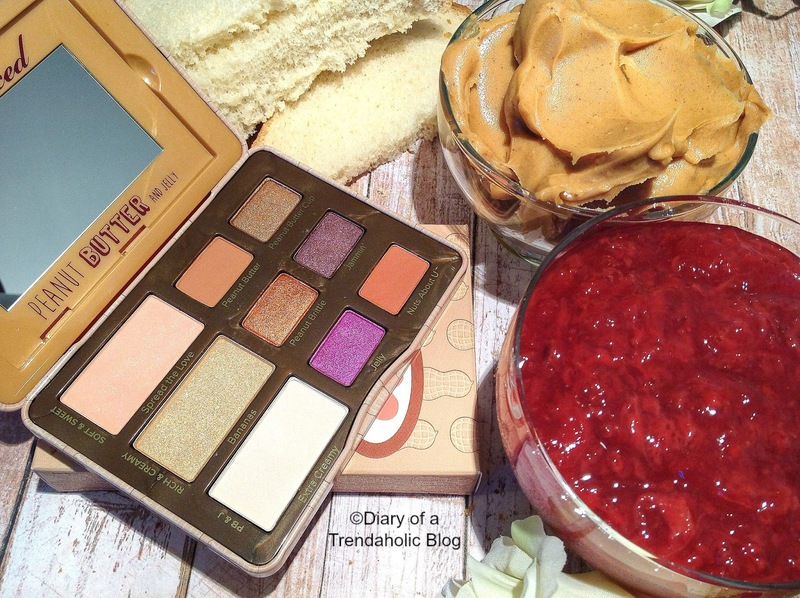 Like other palettes from the brand, this one is also infused with antioxidant rich coco powder so it smells delicious but doesn’t contain any actual peanuts for those concerned about allergies. The packaging is cute and compact, (about half the size of the Chocolate Bar Palettes) which makes it convenient for travel. If you are on the hunt for vivid, everyday hues then Peanut Butter and Jelly will knock your socks off and probably make you a little hungry. Summer has officially begun and June is almost over! The months seem to be flying by so I’ve been making the most of the nice weather and having fun playing with all the fabulous new beauty products. This month’s Beauty Box Five includes a mix of skincare and makeup plus an interesting tool most beauty junkies are drying to try! Before I delve into the box let’s review how the service works. 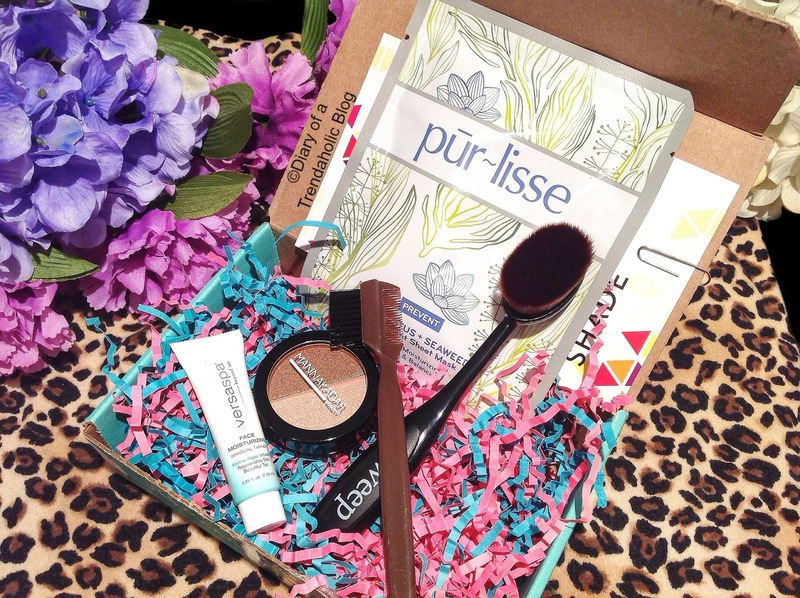 Beauty Box Five is a subscription that starts at $12 for the monthly box, $30 for the quarterly subscription and $99 dollars for a year. You receive a mix of luxury items and common brands with products for: hair, skin and nails as well as fragrances and beauty accessories. The box contains 5 products and usually includes 1-4 full sized items. 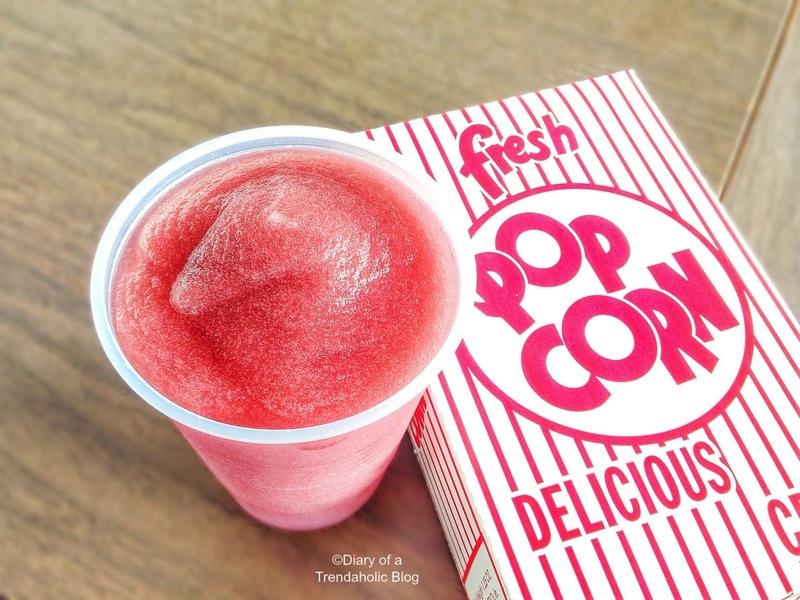 It is a great way to sample a variety of new brands! If you ask me a girl can never have too many face masks and the sheet variety are great for vacation! 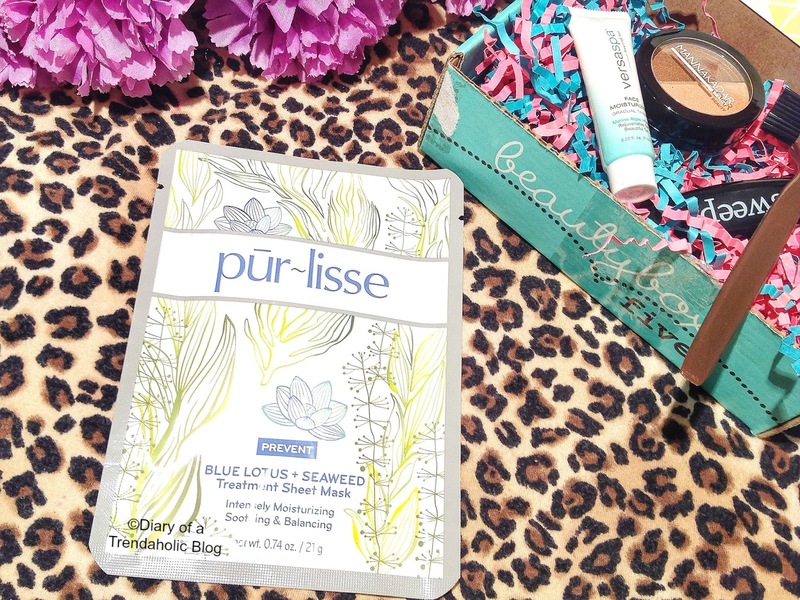 Pur-Lisse is a brand that has been included in the box numerous times but this mask is loaded with Asian botanicals, antioxidants, nourishing oils + fruit and plant extracts to soothe and brighten. 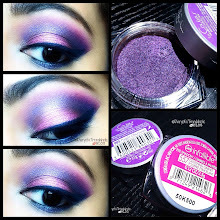 When I first saw this duo I thought they were shadows and it turns out that you can use them on your eyes as the pigmentation is fabulous and the colors build and blend well. 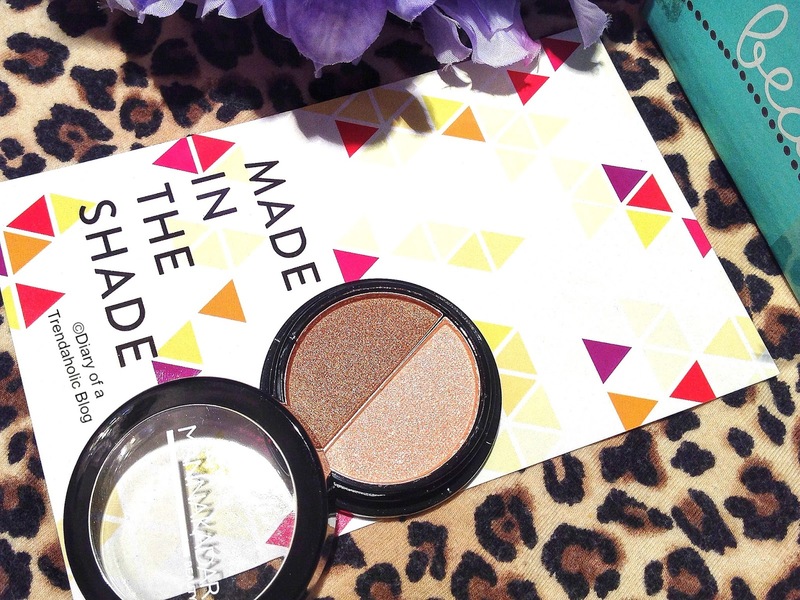 This is another brand that has been in the box several times but the quality has been consistently good and I love how shimmery, smooth and silky these shades are! 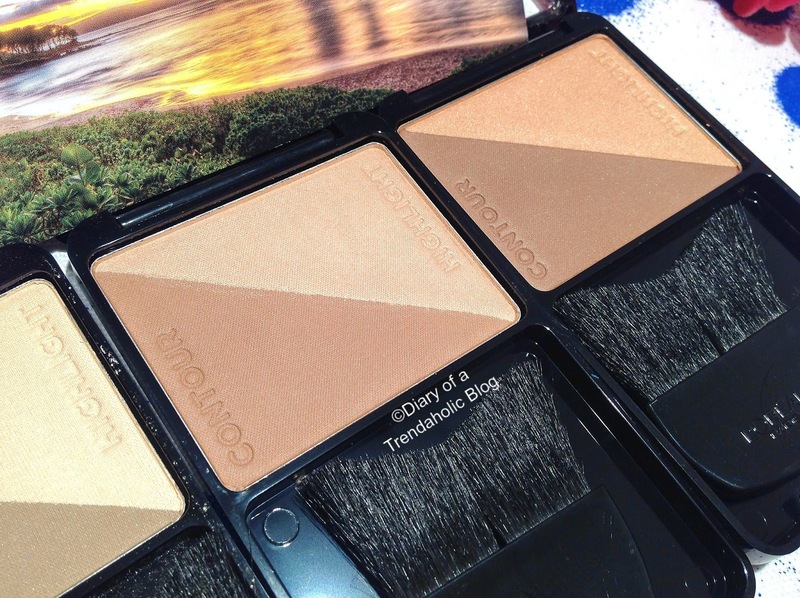 The highlight is a frosty silver tone and the bronzer has a pretty gold tinge with fantastic coverage and high-impact luminosity that makes skin glowy and gorgeous. 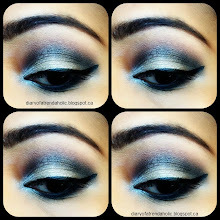 I love the combination of light and cool with warm and dewy for versatility. These round brushes have become quite popular among makeup lovers and many brands have been releasing their own collections in both high-end and mid range price points. Beauty Box Five decided to include one due to the high volume of requests and I’ve been interested to see what all the hype is about as well. The design reminds me of an old fashion hair brush and although I’m not very familiar with this type of applicator, so far I really like it! The dense, circular surface and handle makes buffing-in product quite simple and the bristles are soft against the skin yet firm. Although it looks a bit like the top of a kabuki it feels different and even though this one is small and made for blush and highlight, I use it for blending concealer and foundation as well. 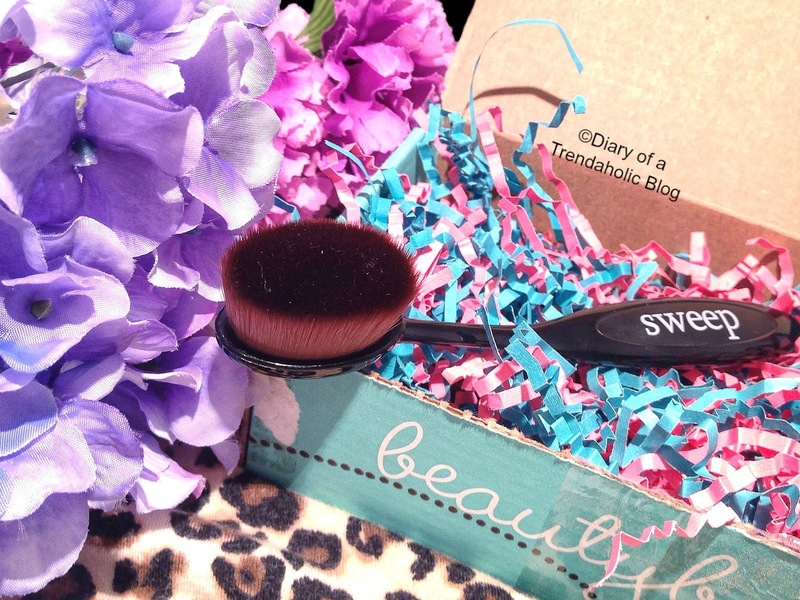 I like that the bristles don’t absorb or soak-up much makeup and it is very easy to wipe clean after each use. 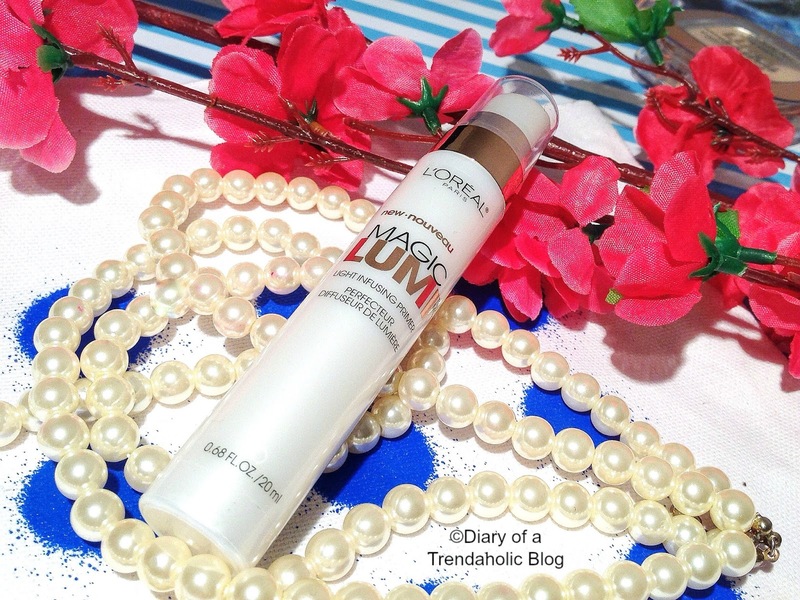 It provides a smooth, flawless finish that makes my skin look awesome! We all need a decent brush for keeping our brows neat and although this one gets the job done relatively well, the quality isn’t great. It reminds me of a generic salon brand which is fine but I don’t really need another. The face moisturizer/gradual tanner may be good for those looking to avoid harmful UV while still rocking a sunkissed glow. The sample is small and I’m not sure how “gradual” the results are but I don’t use tanning products. In the summer I actually avoid all types of tanning so that my foundations continue to match my natural skin tone. Overall this month’s box was pretty good! I love the face mask, oval brush and highlight/bronzer duo but I’m ready to see a few different brands. 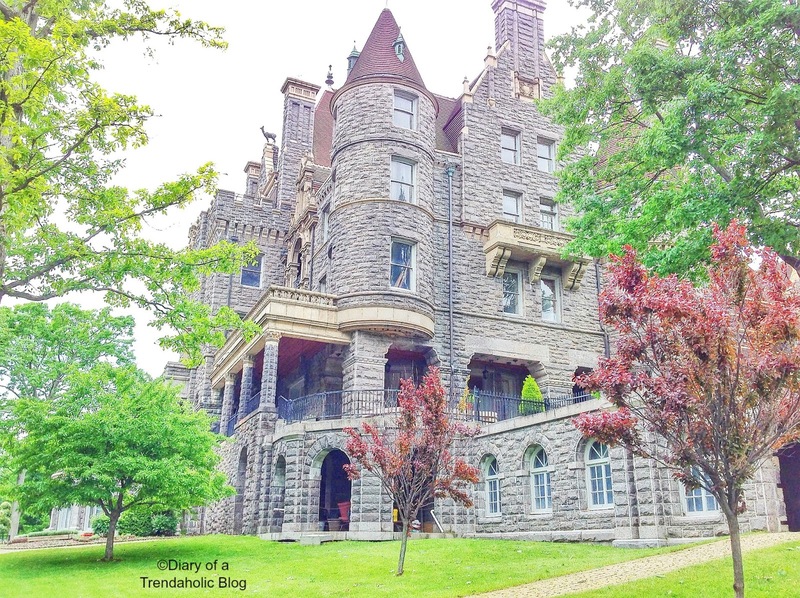 Summer is the ideal season for enjoying the great outdoors, whether you prefer rest and relaxation, family fun or thrilling adventure and you don’t always have to travel far and wide to find it. As I’ve learned over the years, there may be amazing vacation destinations in your own backyard with some of the best views nature has to offer and the serenity you crave on warm, starry nights. 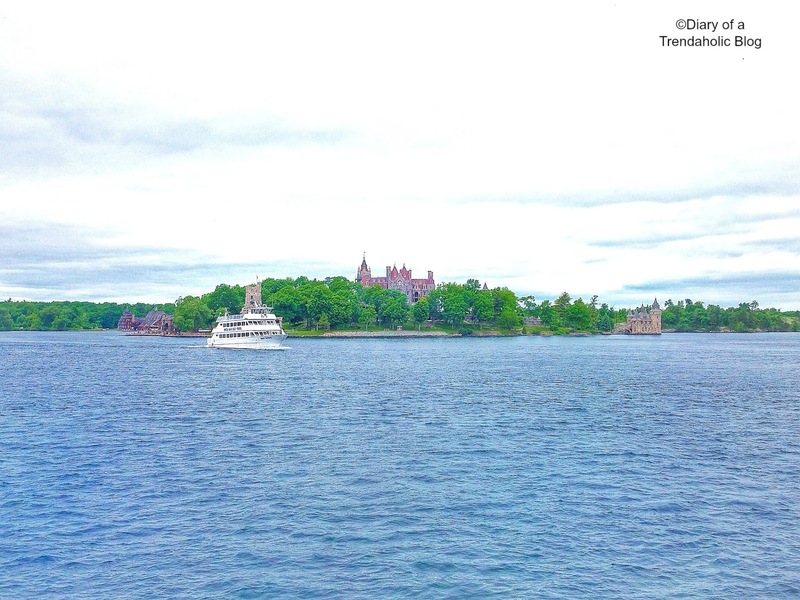 1,000 Islands in North America (made up of over 1,800 islands) is a popular destination for those seeking a blissful retreat away from the hustle and bustle of city life. 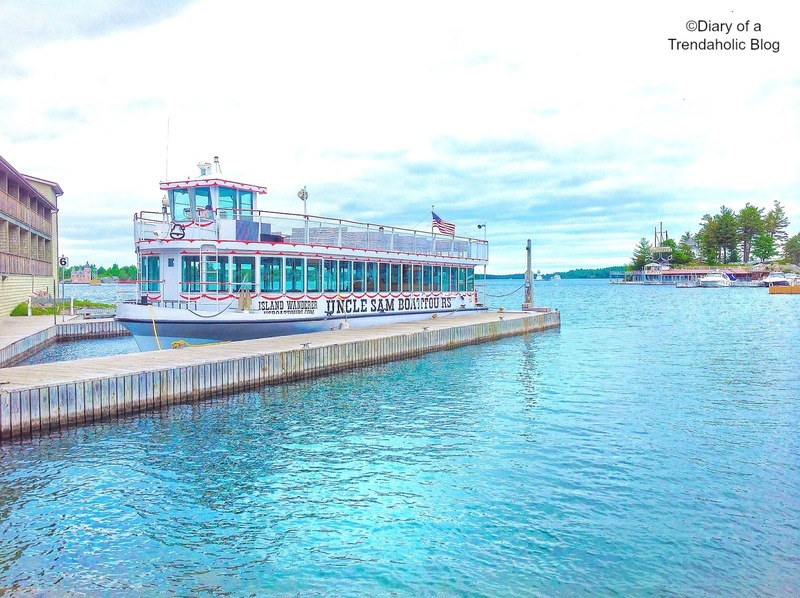 This fascinating archipelago along the mighty St Lawrence River straddles the border of America and Canada and offers a rustic, wilderness experience alongside luxury accommodations. The air is fresh, the locals are friendly and there are lush green forests, magnificent wildlife and elaborate mansions on private islands jutting out along the channel. 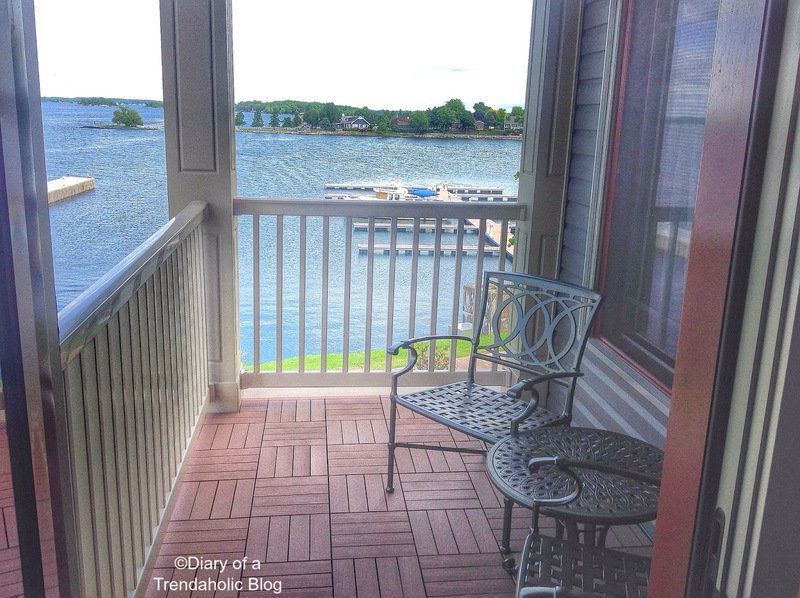 I’ve been to 1,000 Islands Canada and the town of Gananoque but this time I wanted to cross the border and experience life on the river from a different perspective. 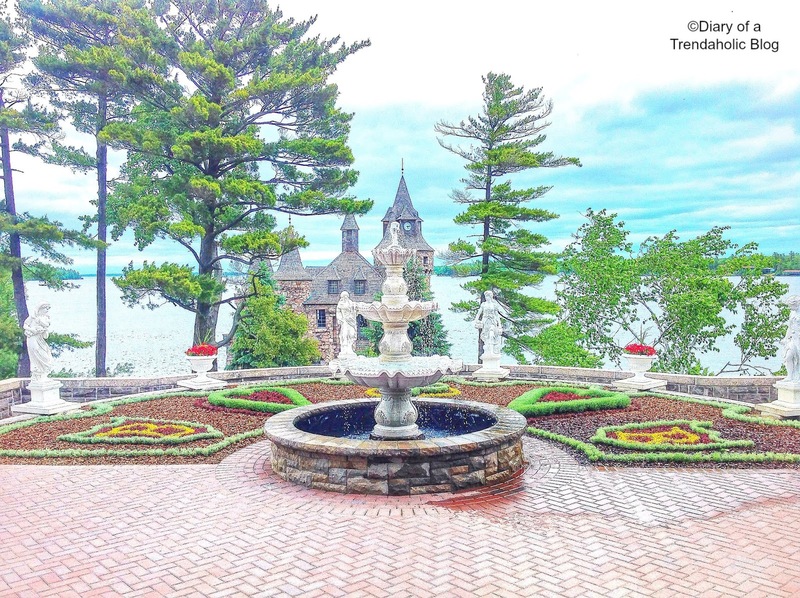 Clayton is a charming little town surrounded by the St. Lawrence and nestled along the edge of upstate New York, just minutes from Ontario. 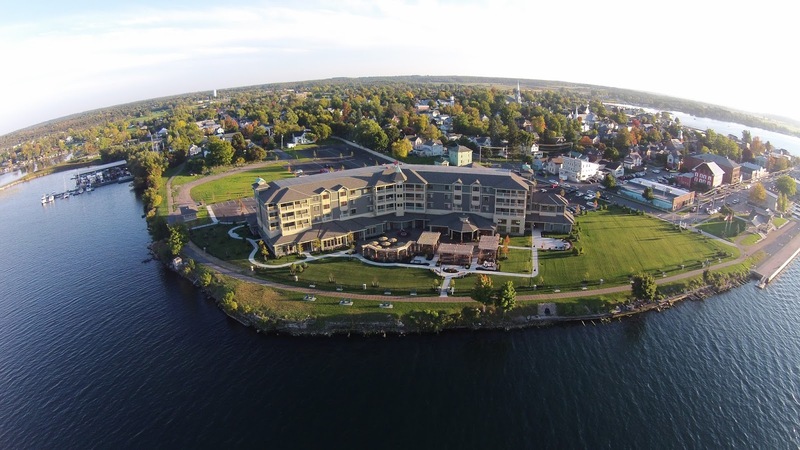 If you seek comfort, great dining and breathtaking views, the place to stay is 1,000 Islands Harbor Hotel. 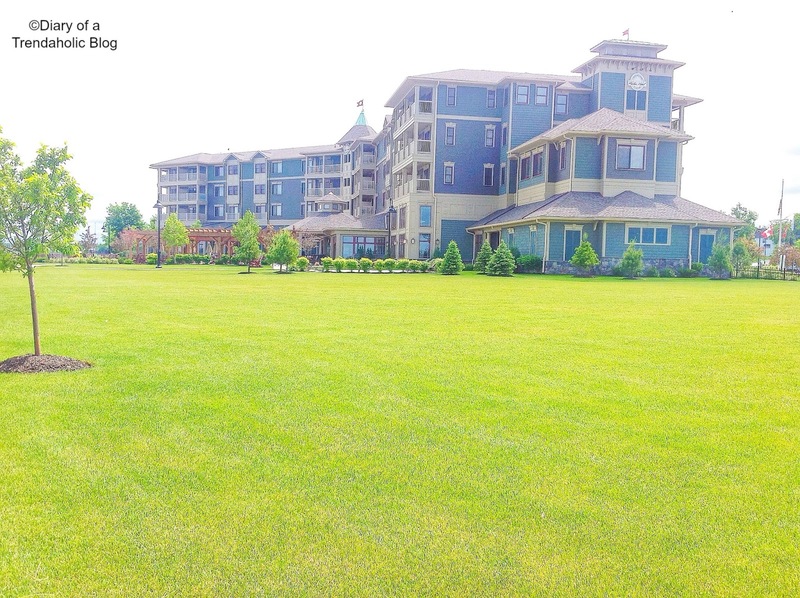 This large, fairly new property seems to be the American version of an upscale Caribbean resort with expansive patio space, colorful floral accents, a trendy outdoor bar and comfortable lounge chairs overlooking a deep blue backdrop. As you enter the immaculate lobby you are greeted by the staff who work tirelessly to ensure that you are pampered and pleased during your stay. 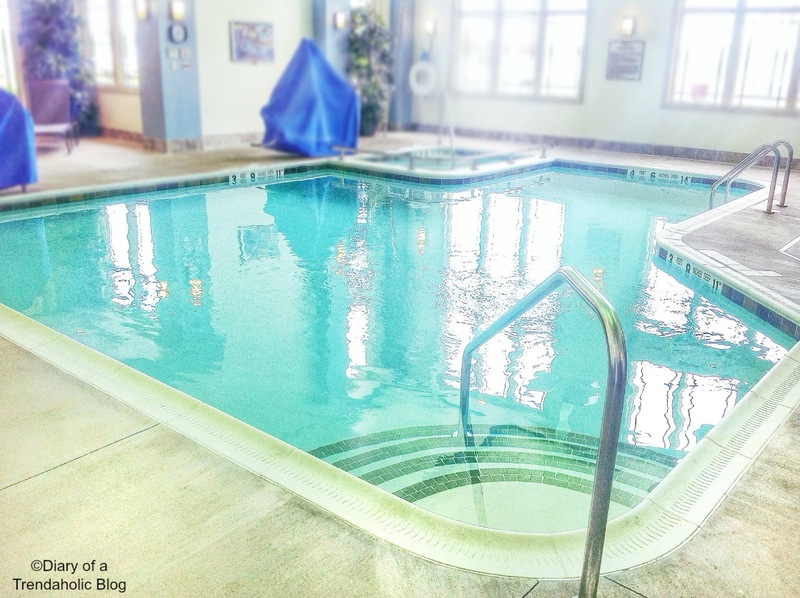 The hotel is also a great source for tourist information pertaining to scenic attractions, restaurants and local landmarks should you need help planning your trip. The first thing I noticed as I made my way to the room was how clean and well kept the hotel is. The decor is modern and sophisticated with large bright hallways, tasteful artwork and modern furniture. My king size room featured a sizable bathroom, flat screen TV, mini fridge, plush pillow- top mattress (designed specifically for the hotel) and a comfortable sitting area with a gorgeous view of the sparkling blue river. I liked that the designers opted for sleek wood floors instead of traditional carpeting to maintain cleanliness and unlike many rooms I’ve stayed in, there was a vanity area with great lighting for makeup application. 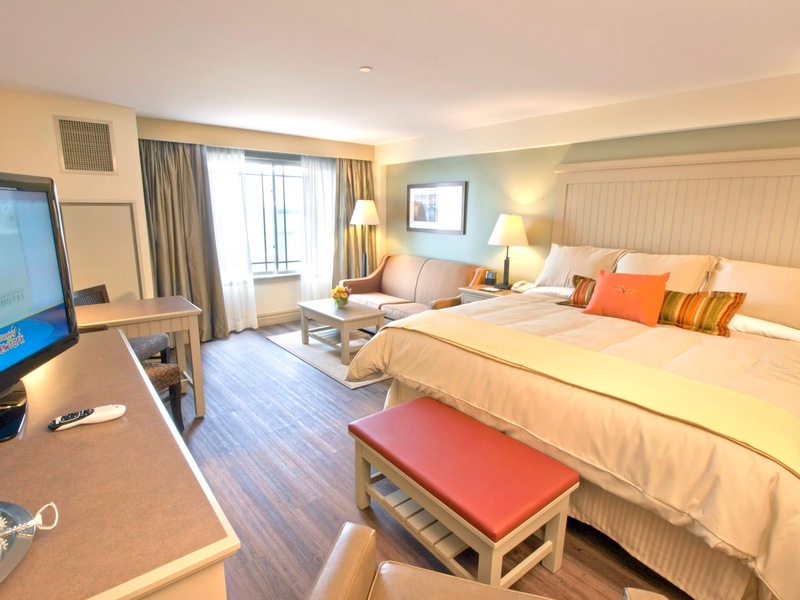 (Balcony suites large enough for families and longer stays are also available). 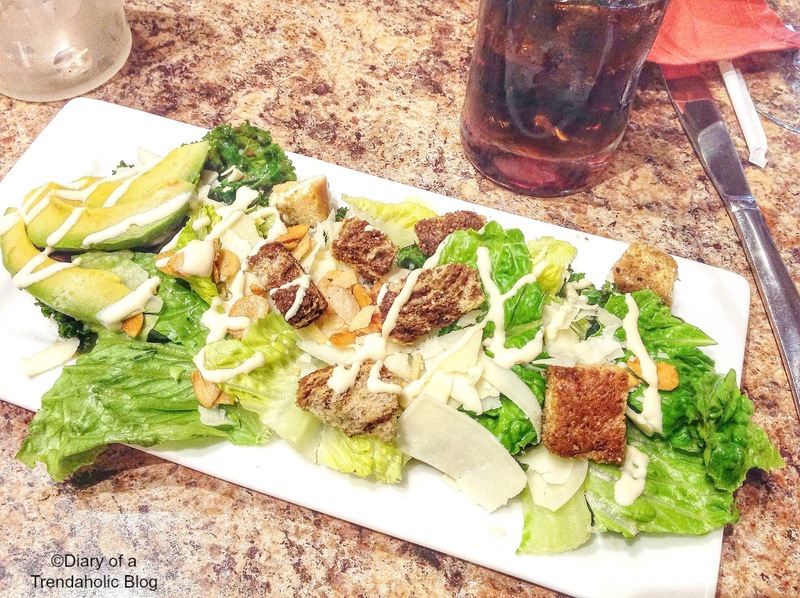 The town has a decent selection of restaurants and bars but the Seaway Grill located at the hotel offers elegant dining and delicious meals. 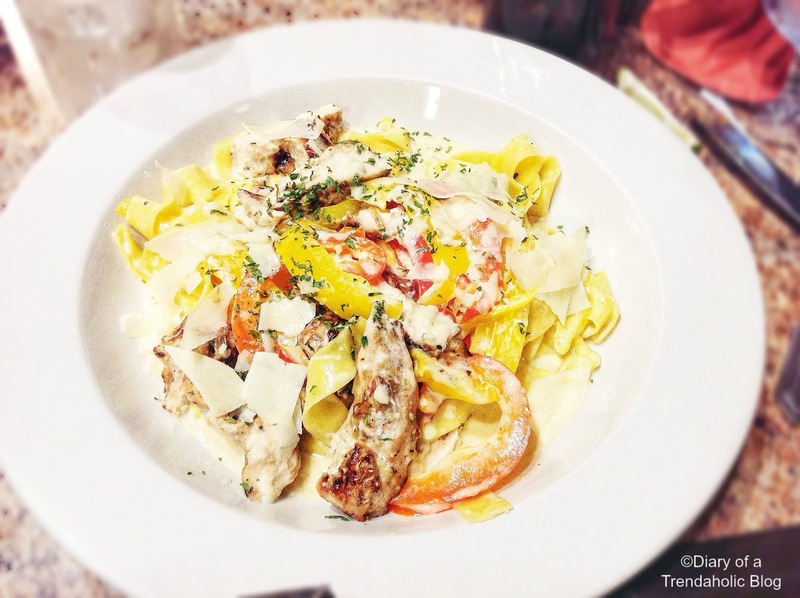 The Chef prepares a diverse array of delectable dishes including soup, fresh salads, seafood, steak and chicken plus they host a variety of fun events where guests can sample international and exotic cuisine. 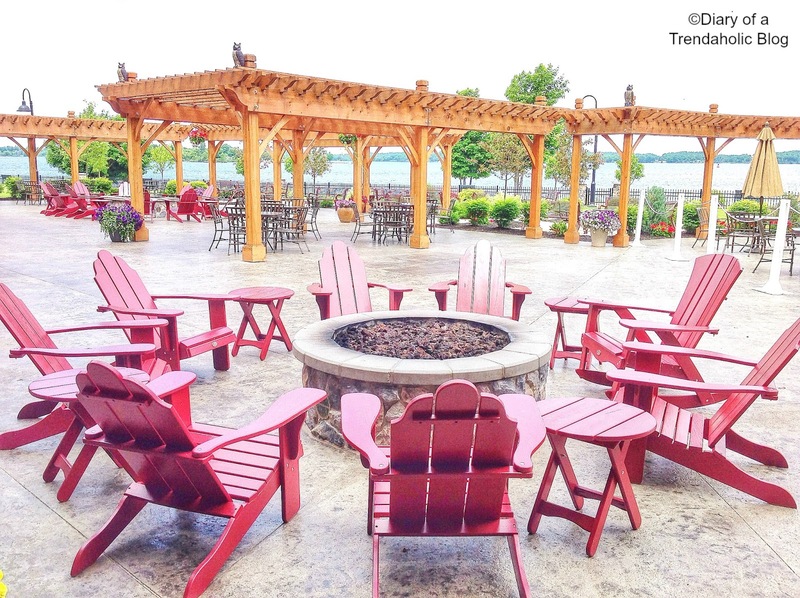 Despite being located in a small town, The Harbor Hotel strives to entice and entertain with a variety of fun events including food tastings, live music, murder mystery nights and parties. Winter on the water is also a magical time since the river freezes over in icy blue sheets and roaring fires keep guests warm and toasty. During the colder months the hotel hosts the popular Fire and Ice Extravaganza where the deck is transformed into a winter wonderland of intricate ice sculptures and dazzling lights. 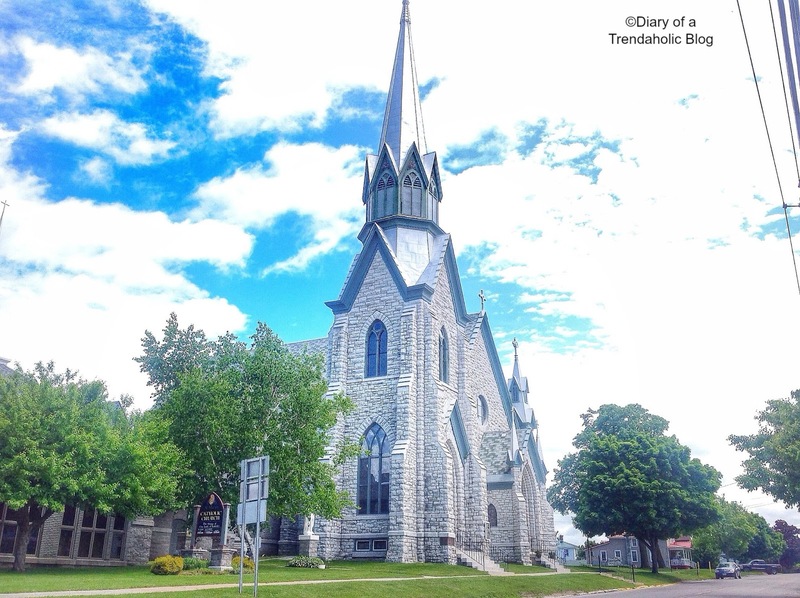 One of the most popular things to do in the area is spending time on the St. Lawrence (one of the cleanest rivers in the world). I took UncleSam's Boat Tour - a company that has been providing river boat cruises for over 85 years! 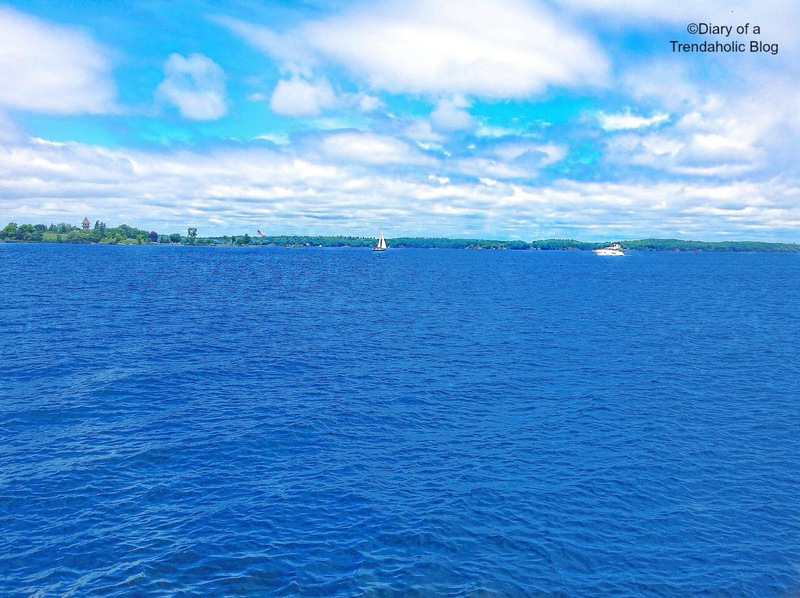 The tour begins at nearby Alexandria Bay and features a historic narrative in both American and Canadian Waters. While on board, guests have the option of sitting inside the temperature controlled cabin with large viewing windows or up on deck where you can enjoy the refreshing breeze. Along the way we passed under Thousand Islands Bridge (connecting Ontario and New York) and saw large water birds soaring overhead. 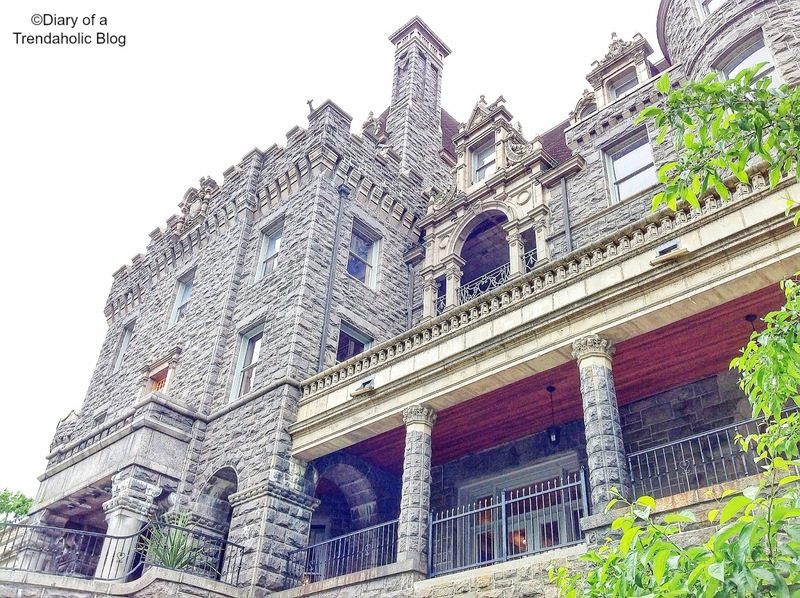 We marveled at the private mansion on islands owned by famous celebs and millionaires and learned about the intriguing love story behind the majestic Boldt Castle. Although this is not a luxury tour (the boats could use a little sprucing up and cleaning) I had a great time and there was also a snack bar stocked with treats and drinks. Tickets are $23.00/adults and $11.50 for kids, you can visit the website by clicking HERE. At the end of the tour we stopped at Bodlt Castle on Heart Island which prominently stands out among the other structures on the channel. 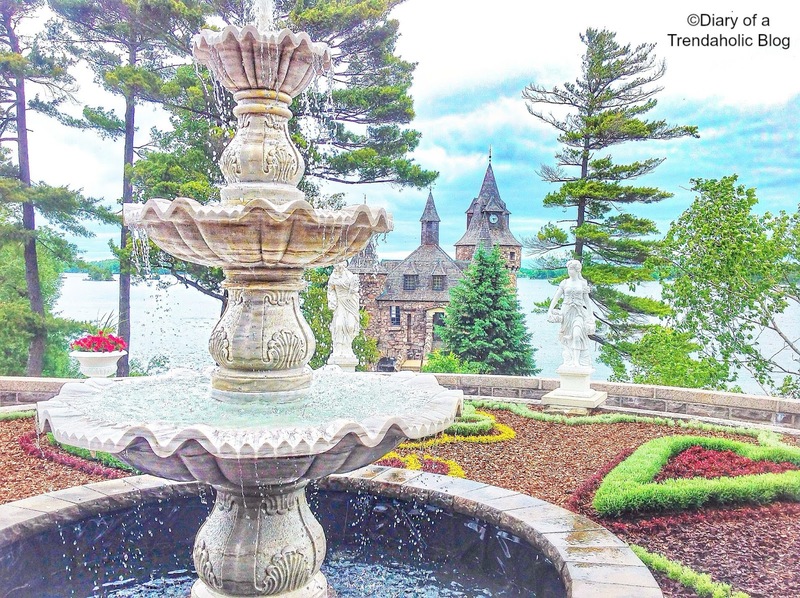 No expense was spared in constructing this impressive stone masterpiece - it features 6 floors, 120 rooms, tunnels, an indoor pool, Italian garden and of course mesmerizing views of the water. 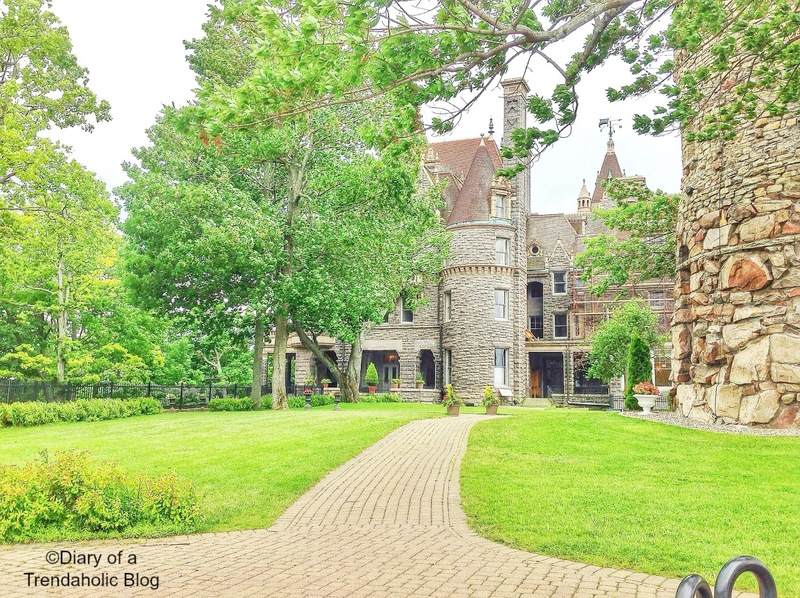 (Entrance to the castle is $12/adults and $7.00 for children), To visit the website click HERE. 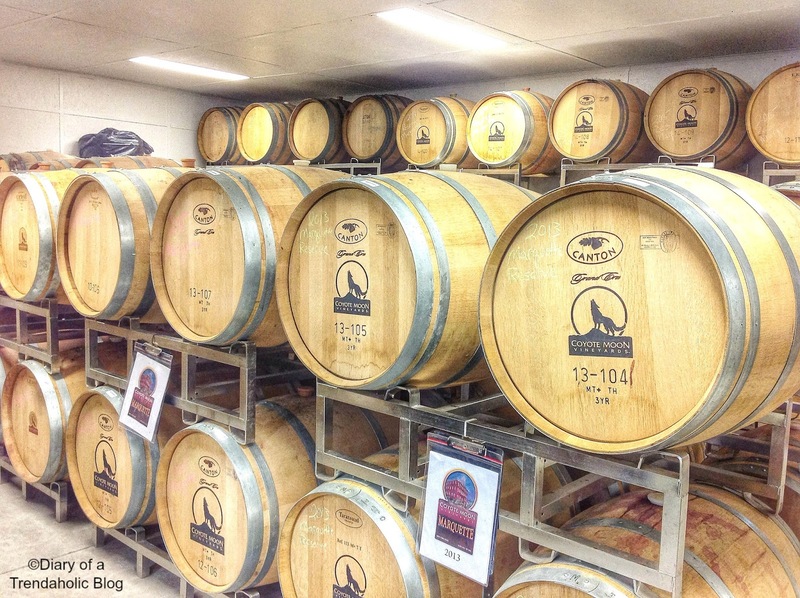 If you love wine there are a variety of fabulous vineyards in the surrounding area. I’ve been wine tasting in, Niagara, Pelee Island and most recently Tuscany but I love discovering new brands, unique parings and interesting flavors. 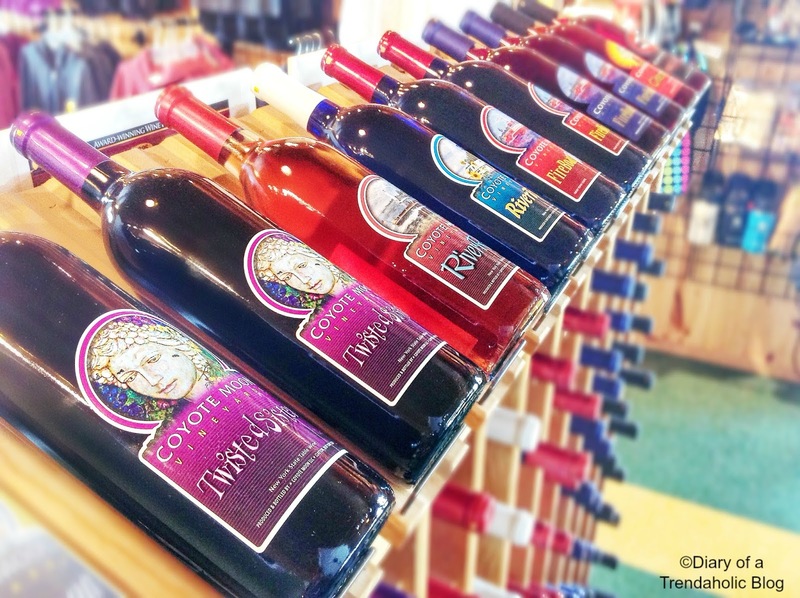 Coyote Moon Vineyards in Clayton is family owned and still uses hand harvesting methods and self painted labels to create their delicious, award winning wines. They successfully combine tradition with technology in an effort to get the most from their grapes and they even grow a variety that can survive in harsh winter climates. 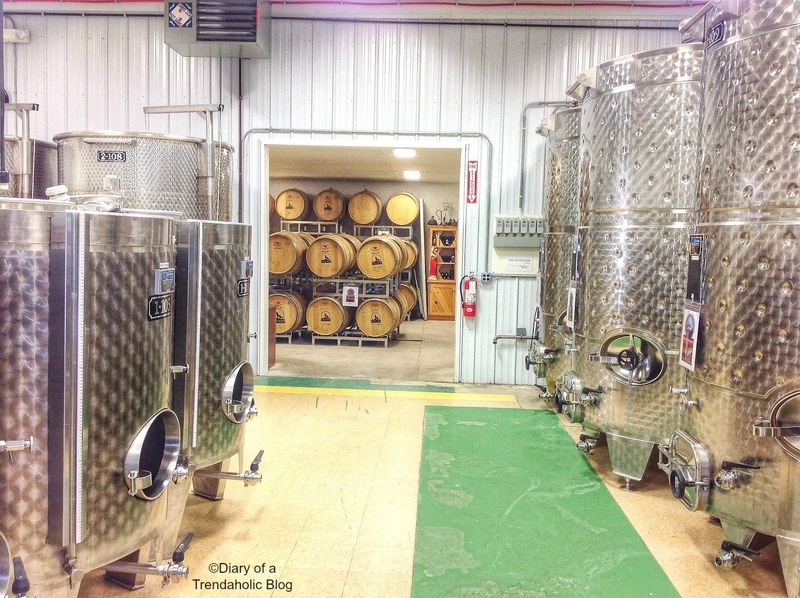 After touring the facility and sampling a selection of wines paired with the family’s homemade salsas and sauces I can see why they have become one of New York’s most awarded vineyards. I like wines that are smooth, semi-sweet or dessert wines so I purchased a bottle of Fire Boat White along with some of their fresh tomato sauce. If you are in the area, I highly recommend stopping by Coyote Moon, the drinks are fabulous and the prices are great. 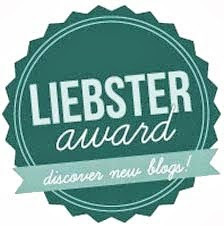 You can check the website by clicking HERE. Clayton is also known for their irresistible wine slushies which are amazing on hot summer days! Although my family owns 100 acres in Ontario cottage country we don’t visit as often as we'd like and building a property is not always an easy task. 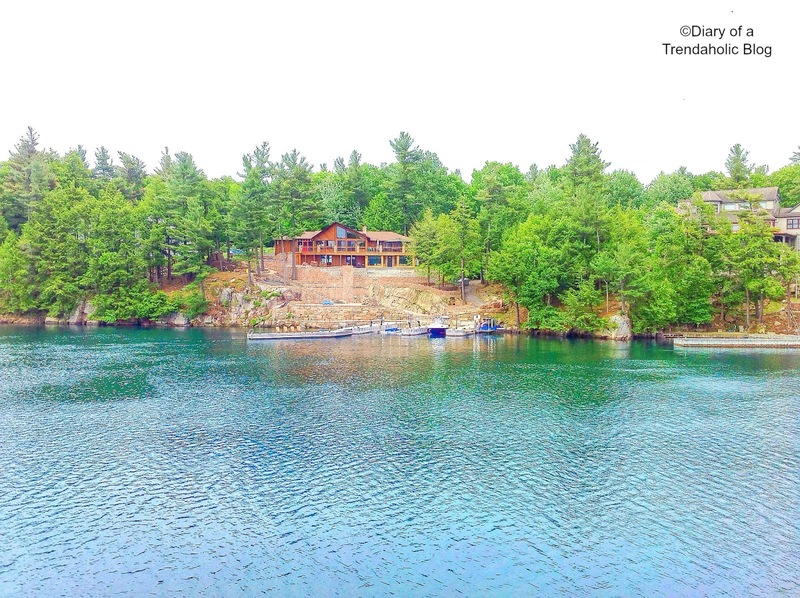 If you don’t have a cottage but would like to experience the peace and tranquility of a small town or even some camping this is a fabulous place to do so. 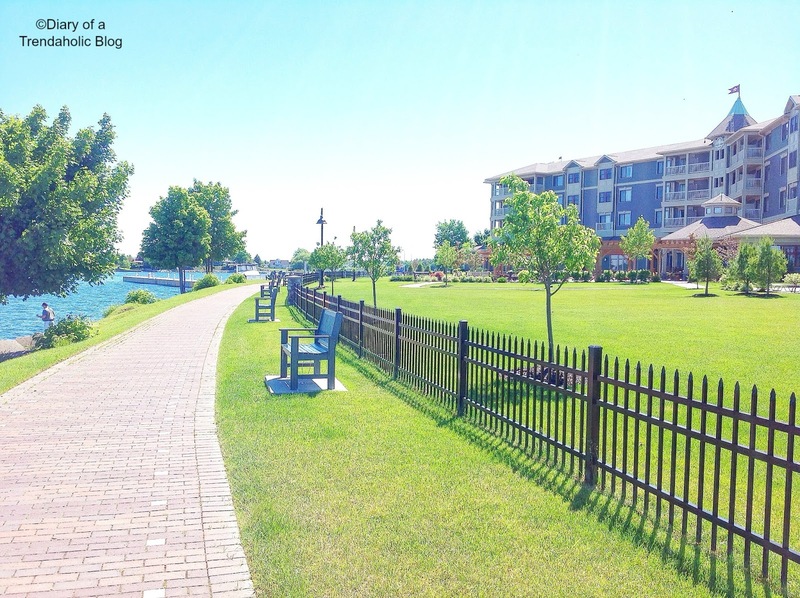 I spent the evenings strolling in the village and having dinner at some of the river front restaurants which offer stunning patio views basked in warm sunlight. 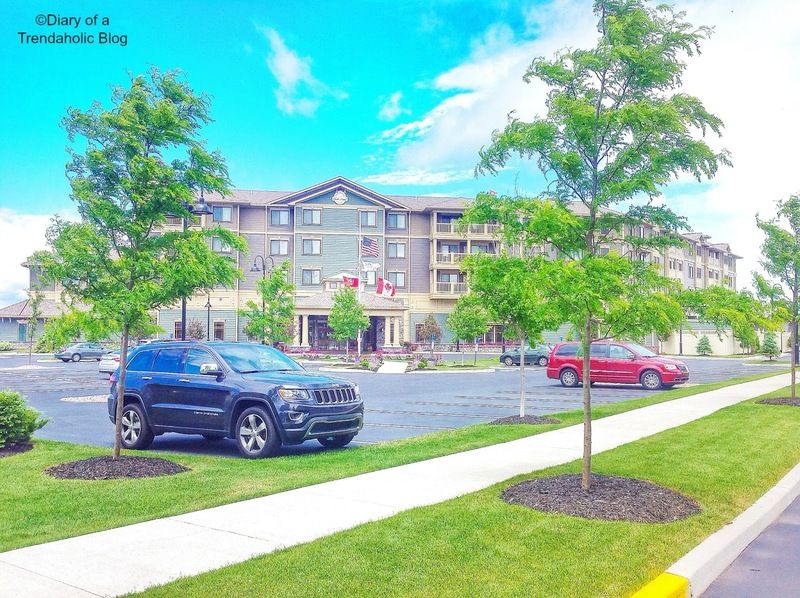 If you want a visit larger shopping malls, movie theaters and popular restaurants you can always head over to nearby Watertown. 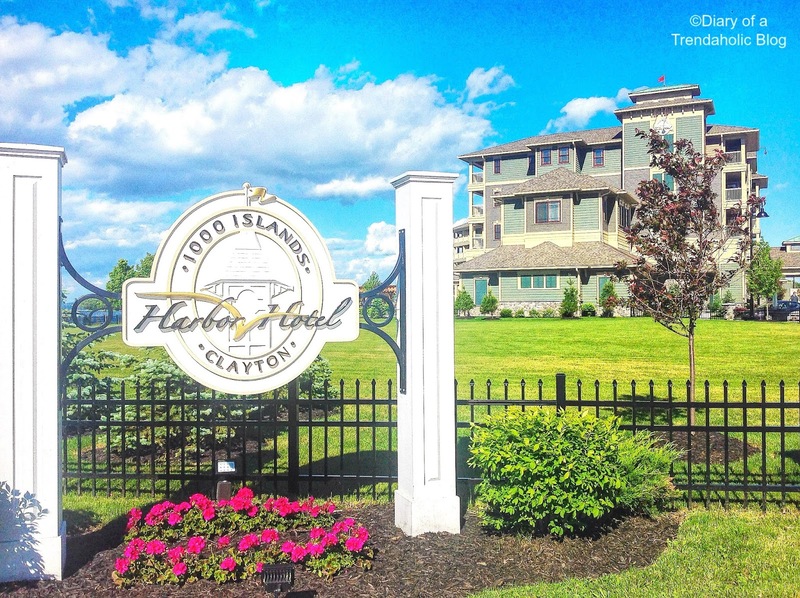 Clayton is also known for their Antique Boat Museum, fishing, water activities, the Opera House, boutiques, golfing, parks, and a variety of leisurely hobbies. Even though the town is only a short road trip from Toronto, it feels like another world - remote and untouched by rush hour traffic, noisy streets and sun blocking skyscrapers. 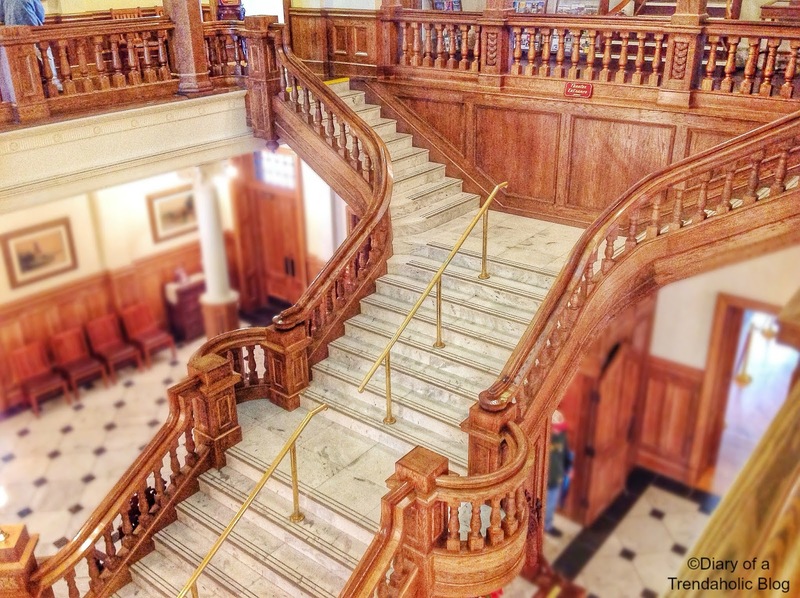 The locals are welcoming, the architecture is charming and it is a fabulous place to escape, de-stress and unwind.